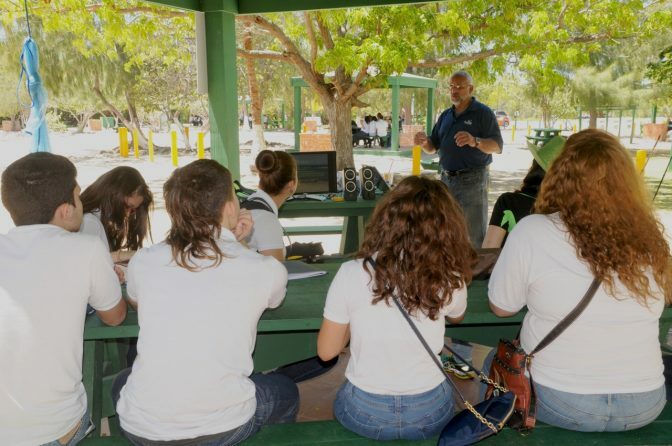 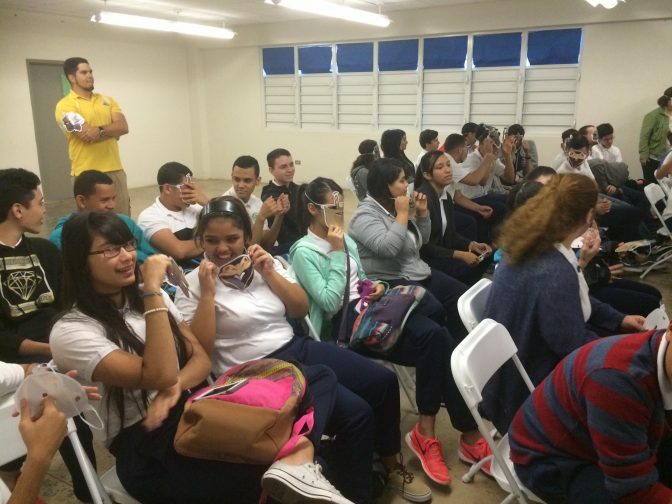 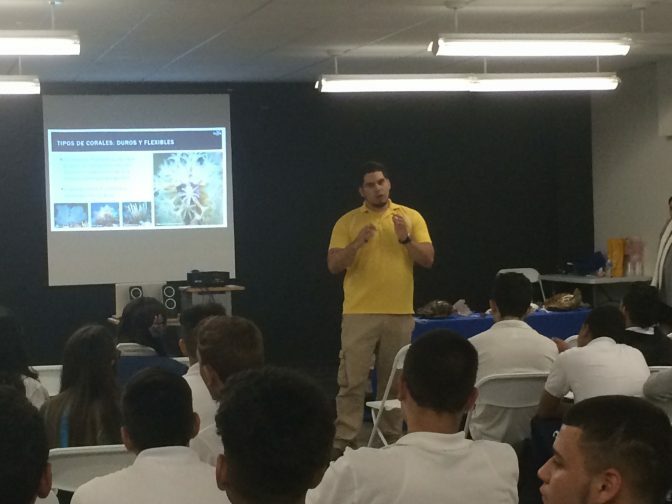 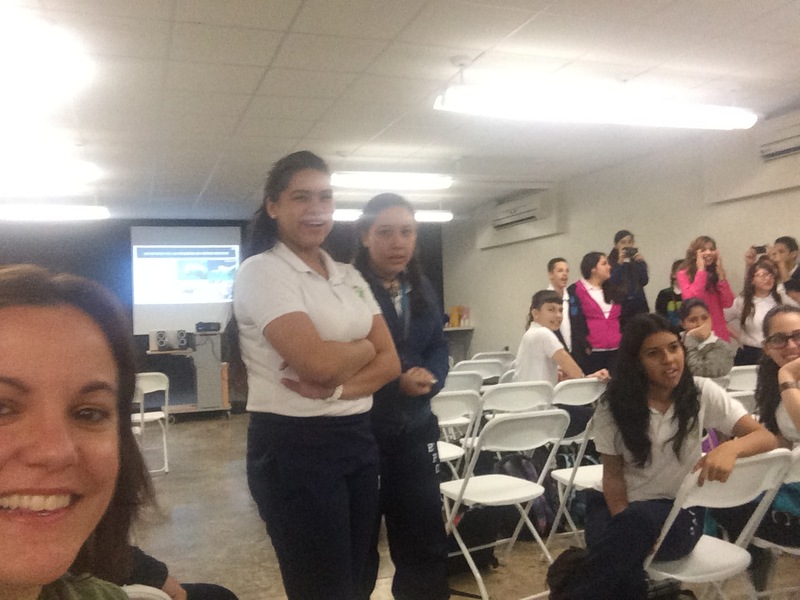 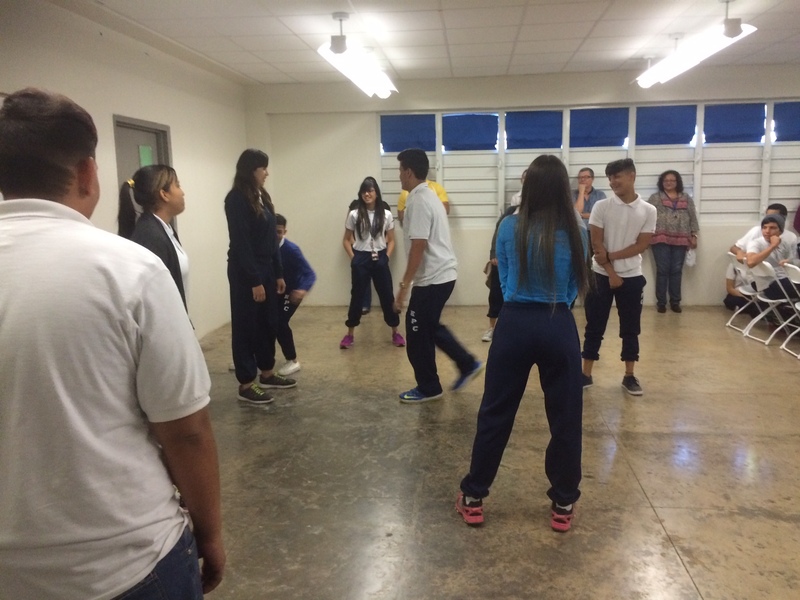 On March 17th, 2016, we visited the Eva and Patria Custodio Franqui high school in Las Marías. 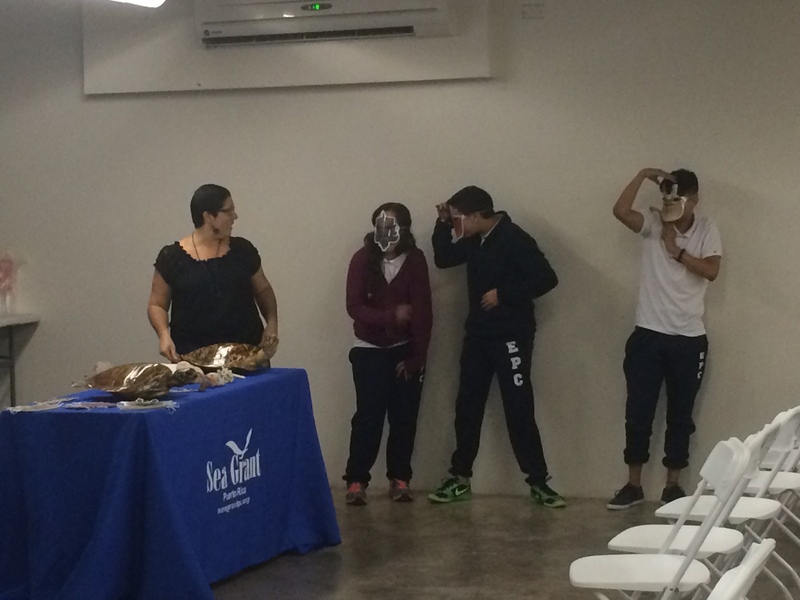 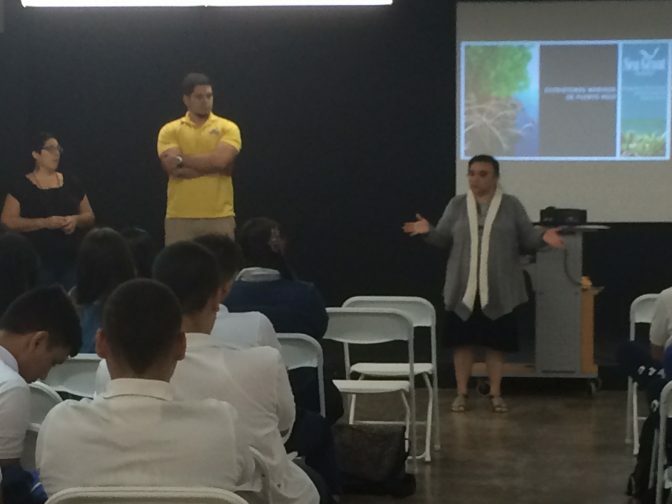 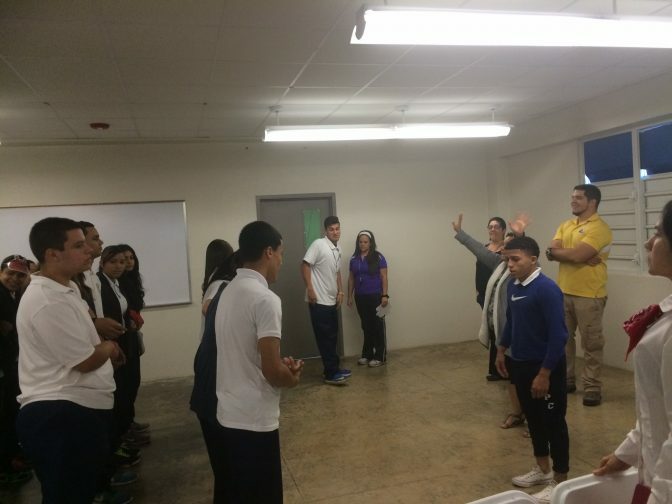 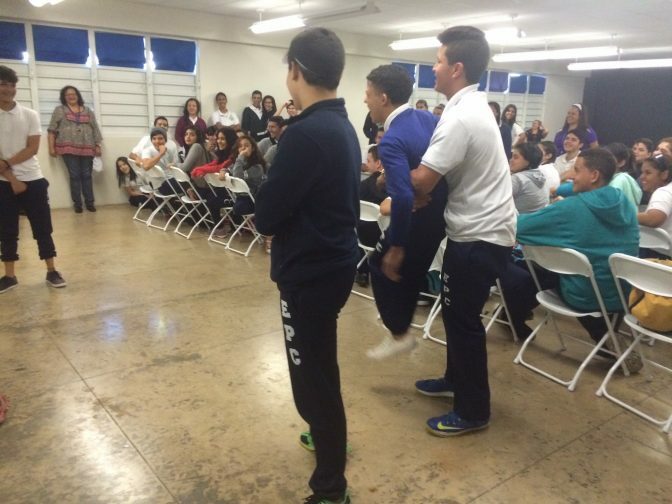 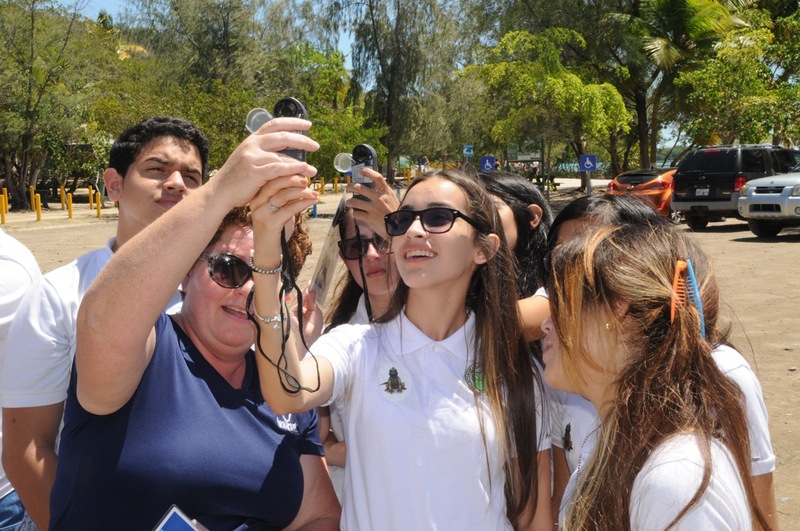 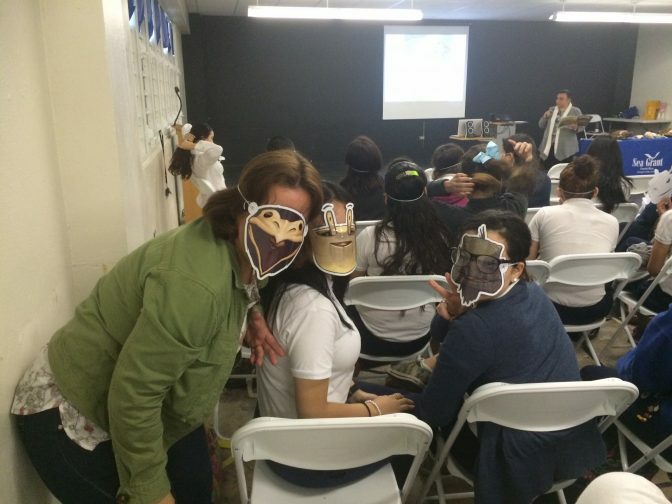 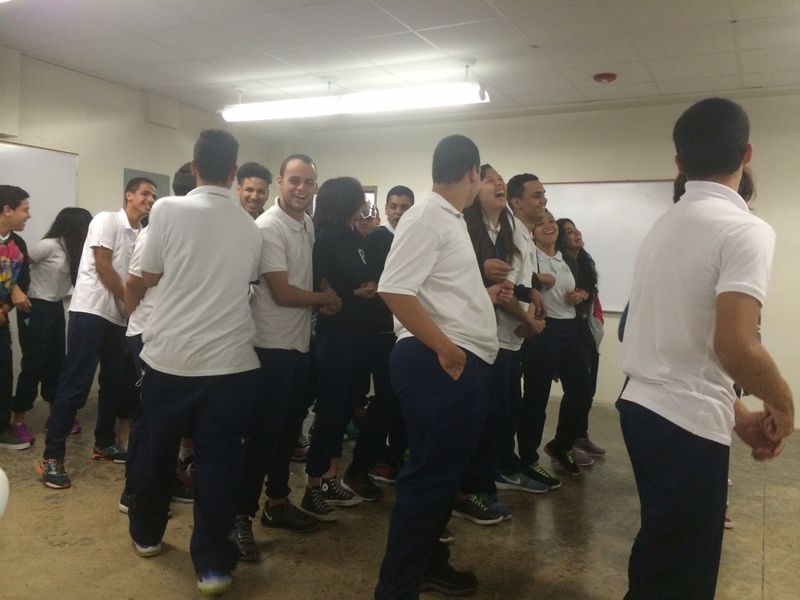 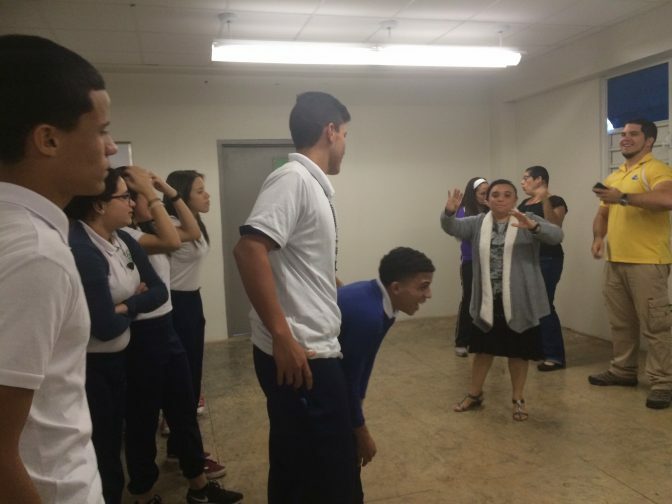 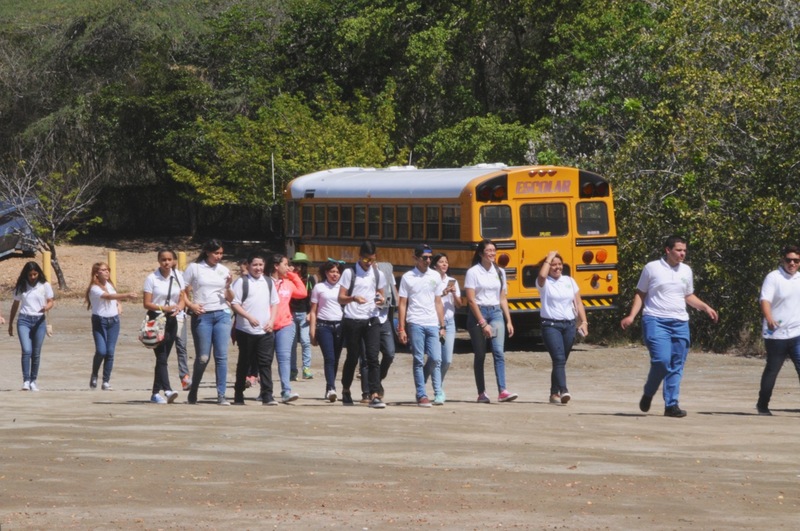 There, we were received by about 90 students from the tenth grade, along with their teacher, Prof. Brenda L. Estévez. 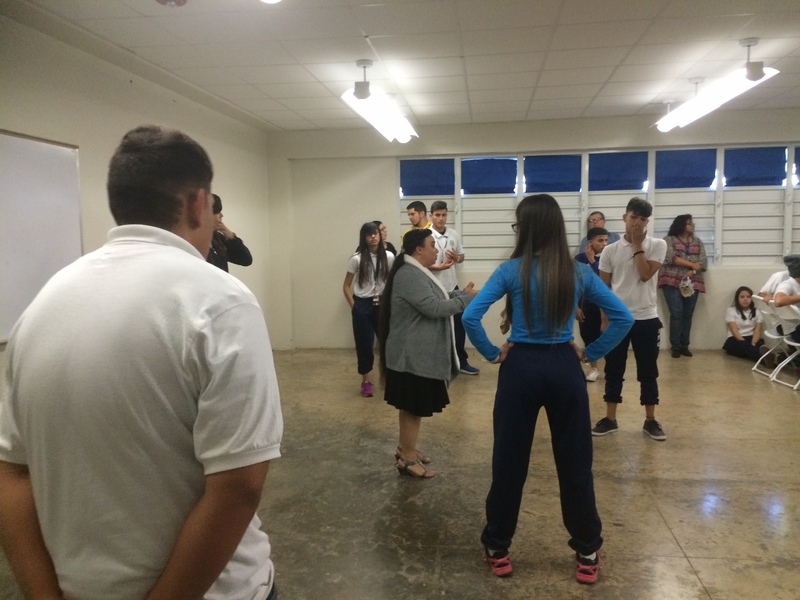 Also there in attendance were the Music teacher, the History teacher, and the Physical Education teacher. 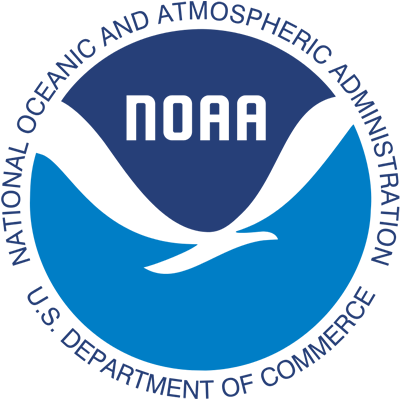 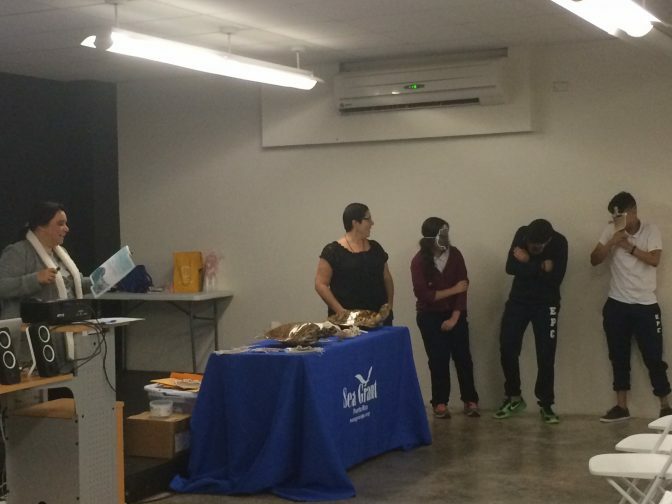 For 2 ½ hours, we offered the marine ecosystem workshop. 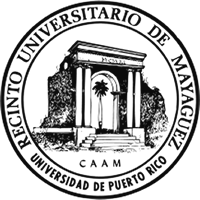 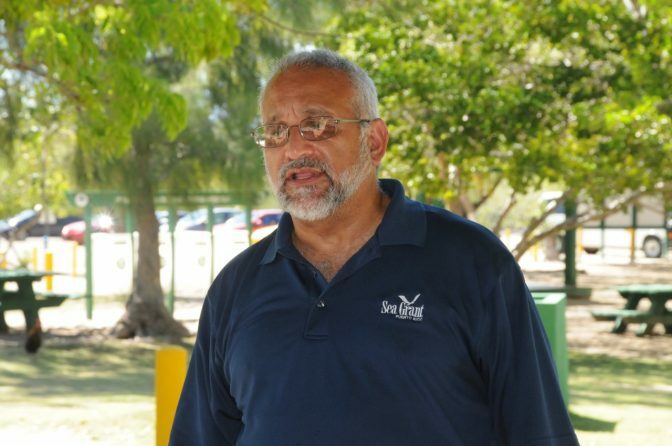 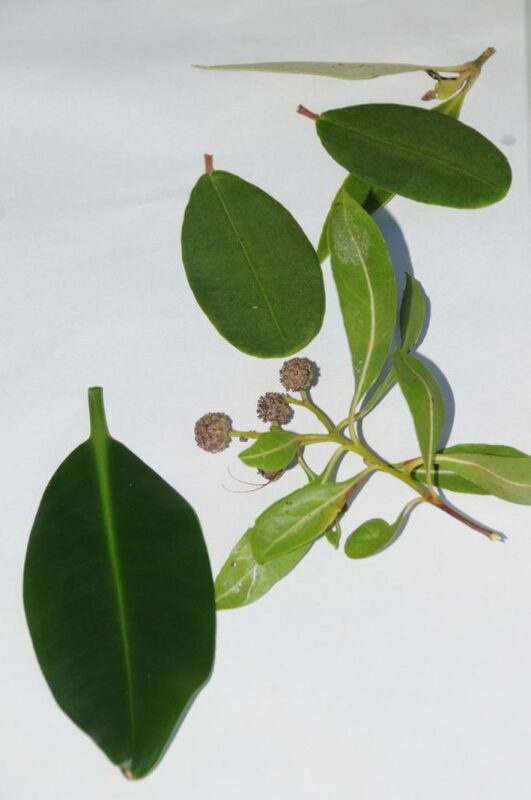 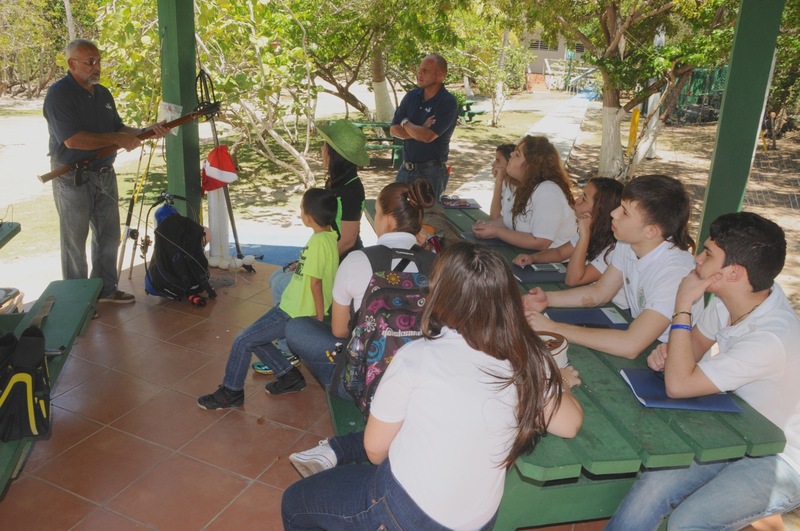 Due to the teacher’s interest in students integrating this topic into a song they were crafting to get the theme of conservation across to the younger student population, we read Pepe Uca’s Treasure as part of the mangrove forest presentation. 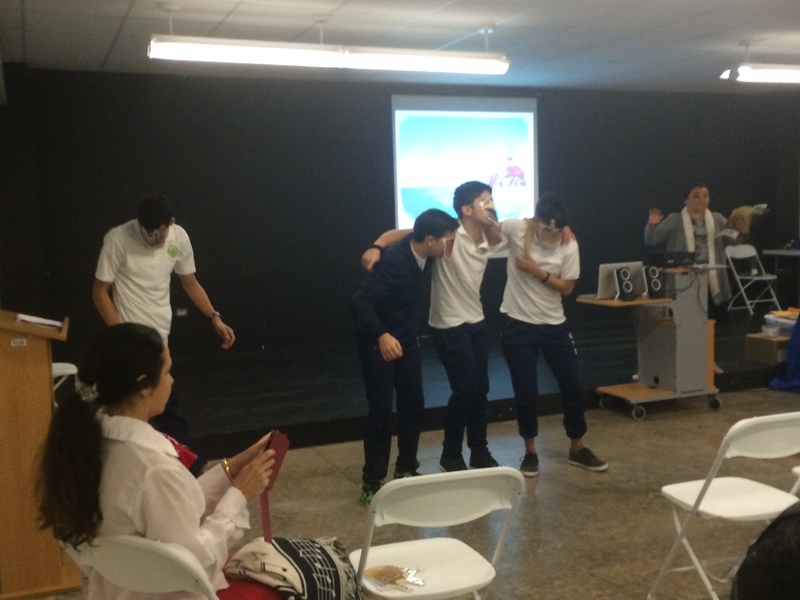 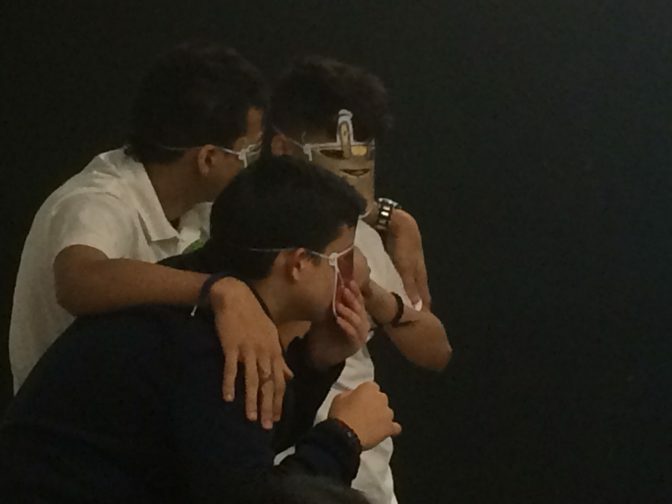 Students showed off their abilities as actors; they all acted out the scenes, although some students were particularly adept and chose to come out to the front of class to act. 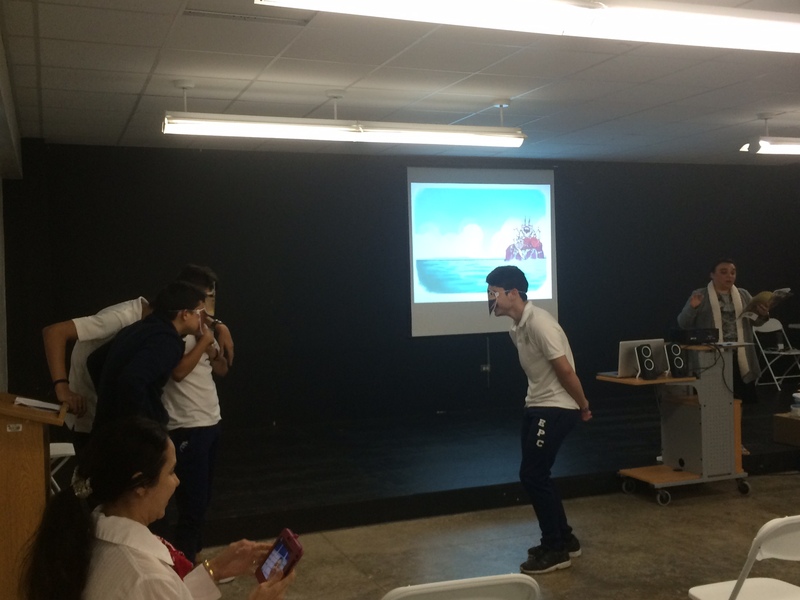 We all thoroughly enjoyed this artistic interlude. 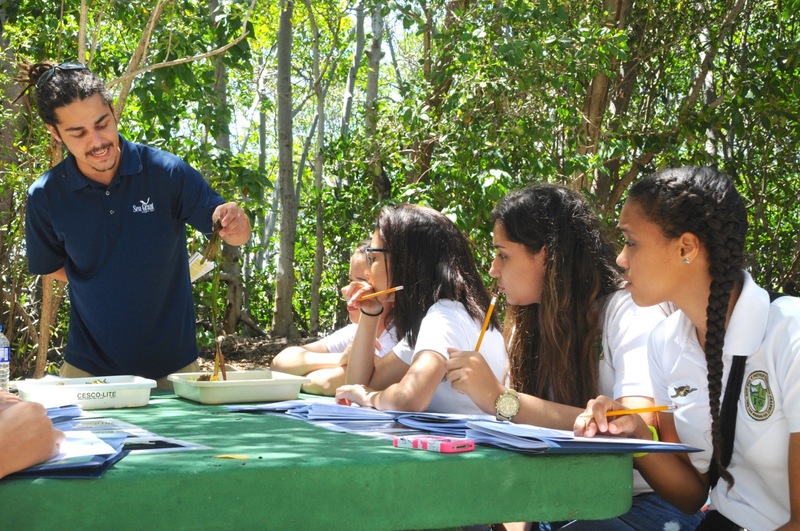 Then, we spoke about seagrasses and played a game illustrating these plants’ importance to the ecosystem. 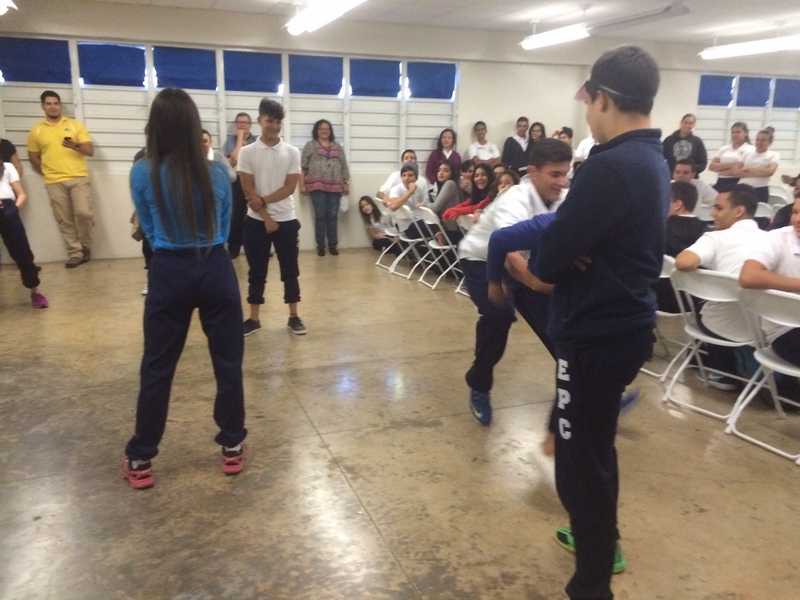 It was also very interesting and entertaining. 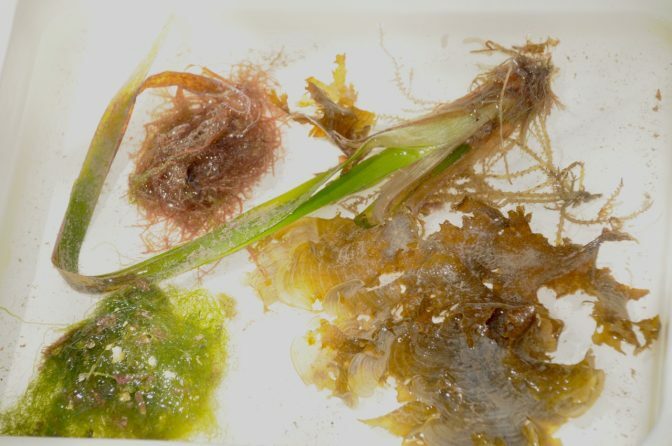 Students could understand the vital role these grasses play in the lives of all the organisms that seek food and shelter within them. At the end. 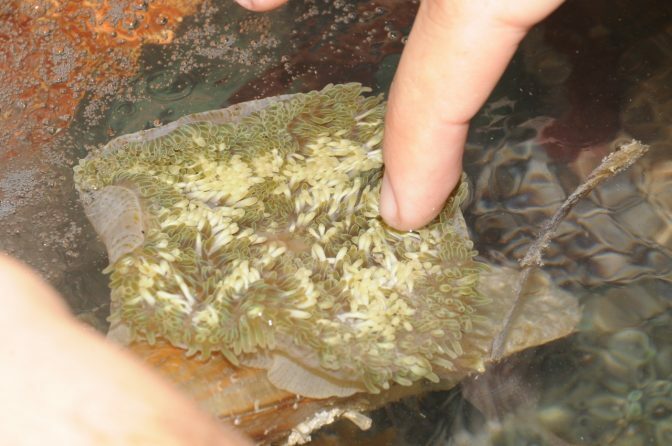 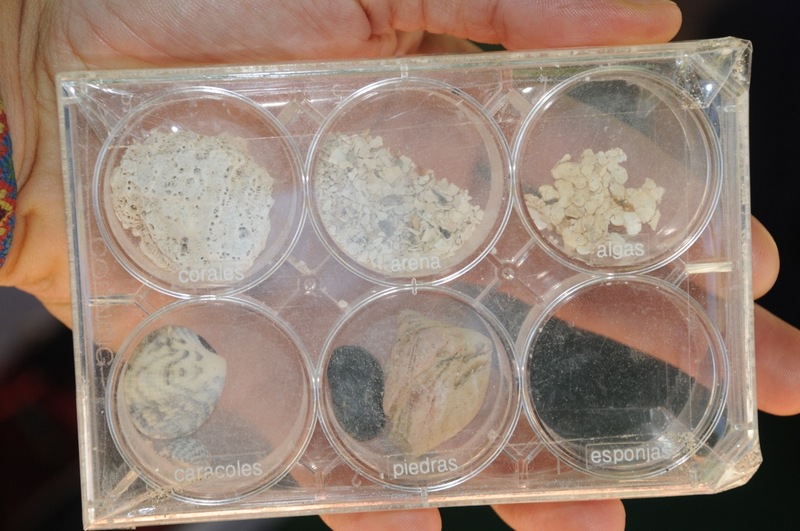 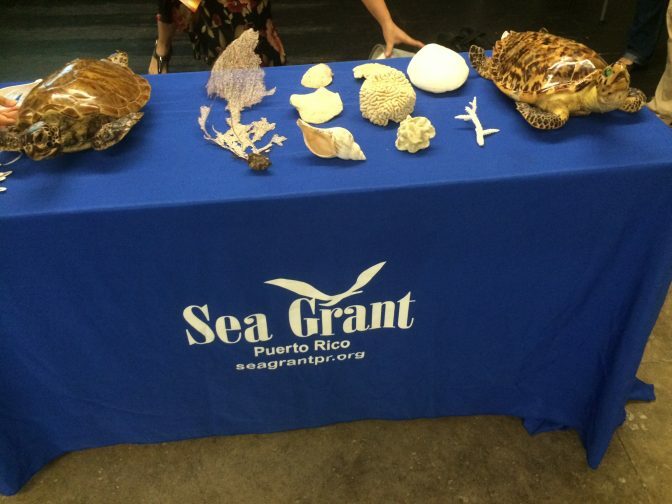 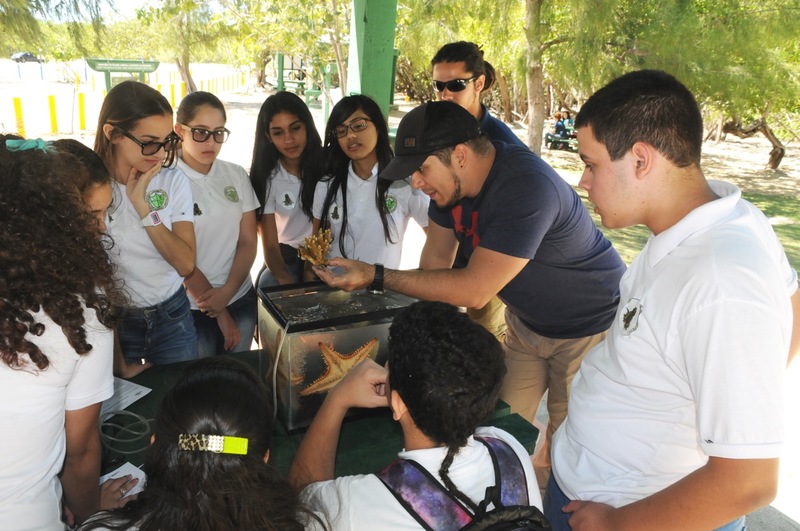 We spoke about corals and showed students several coral samples and taxidermized sea turtles. 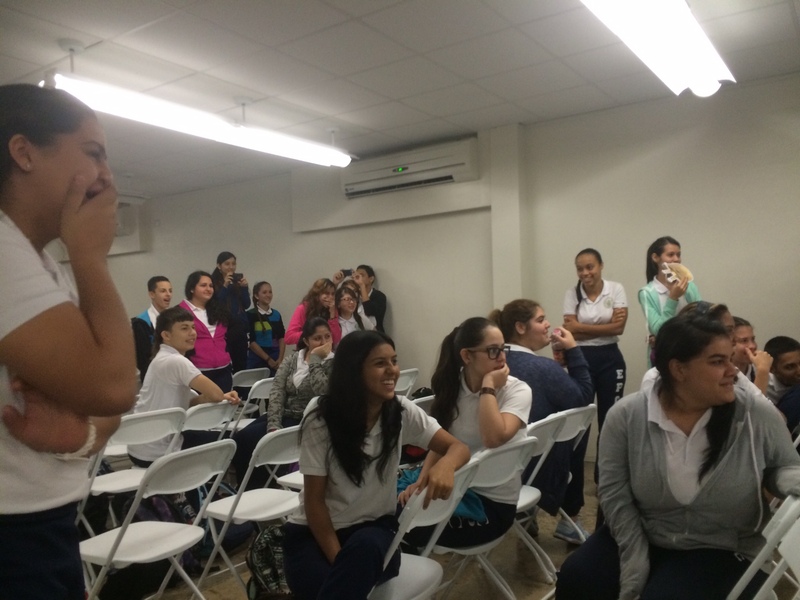 Students didn’t wish to leave the classroom without seeing the video about the ecosystems, although class time had run out. 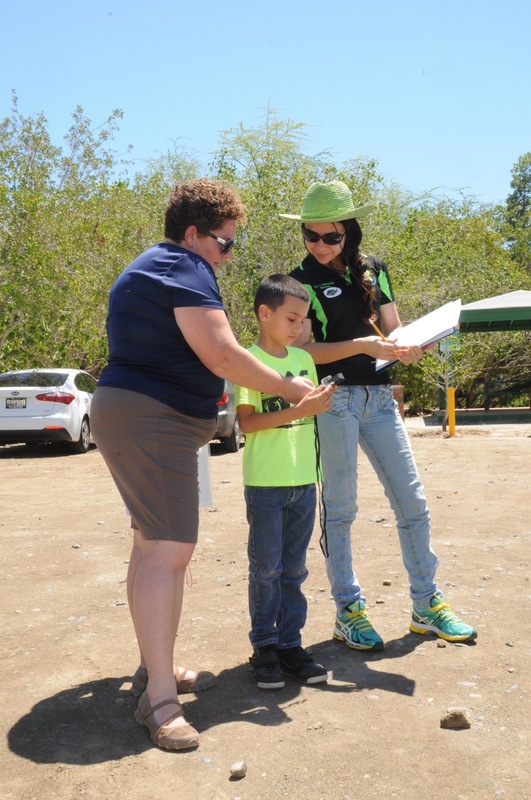 When finished, we handed out several activity groups and stickers. 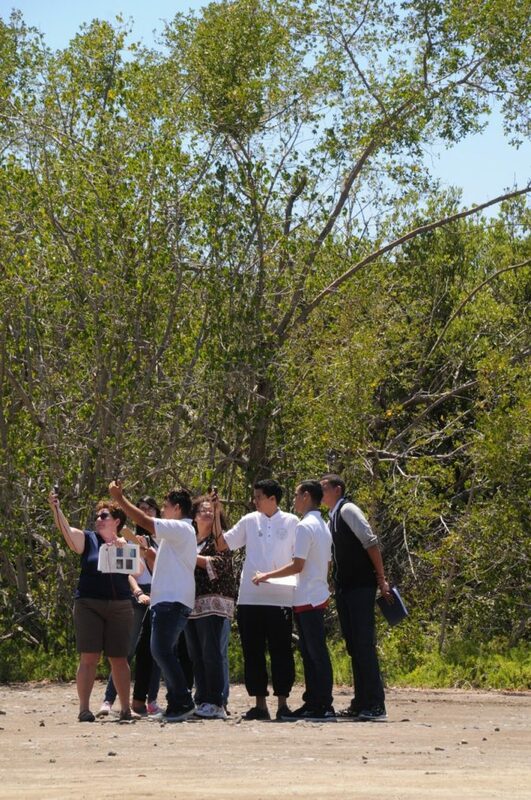 No doubt it was a great experience for everyone involved. 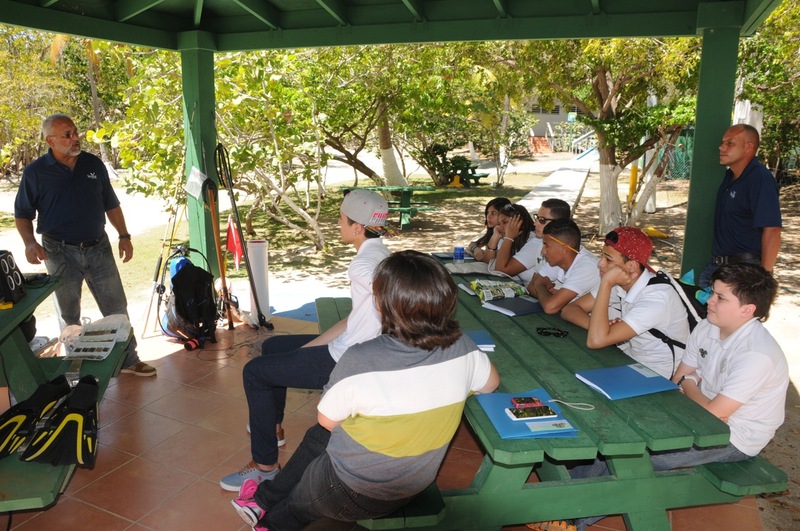 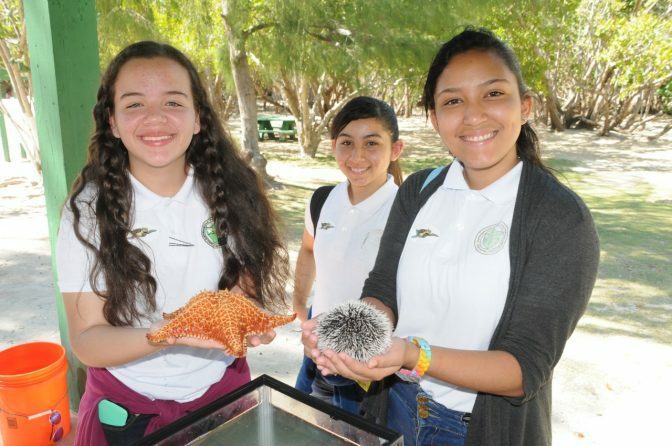 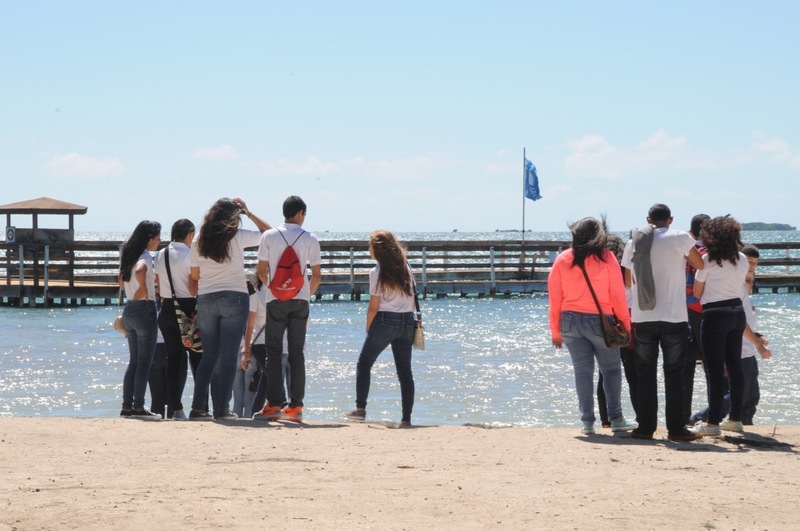 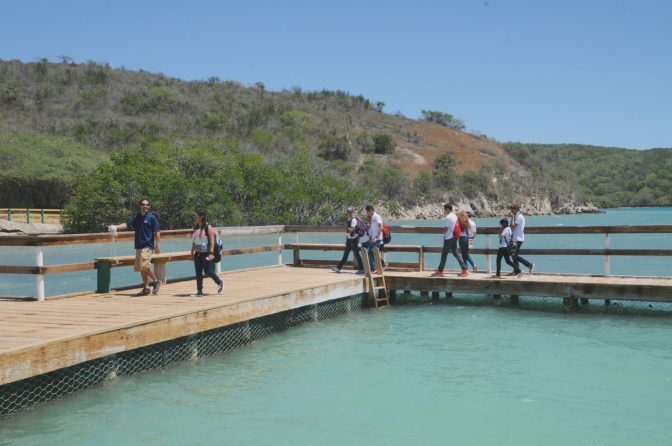 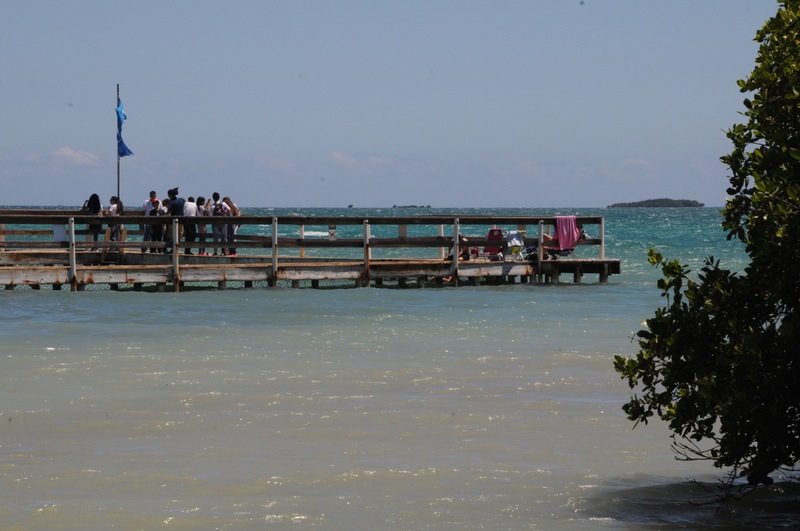 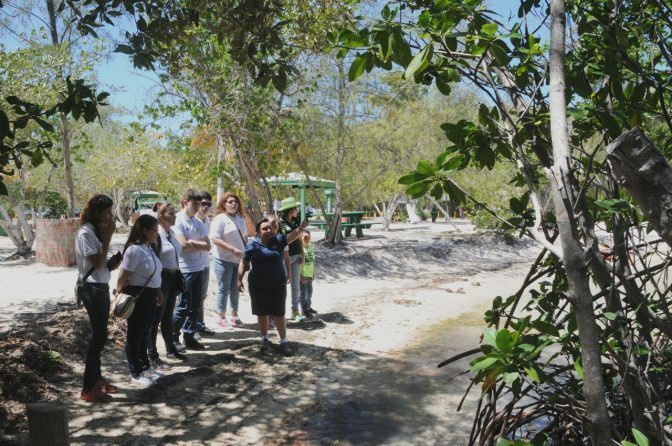 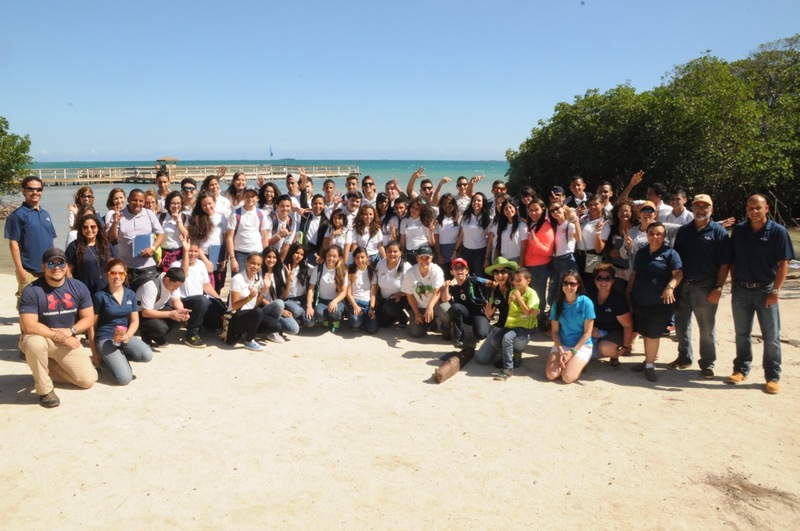 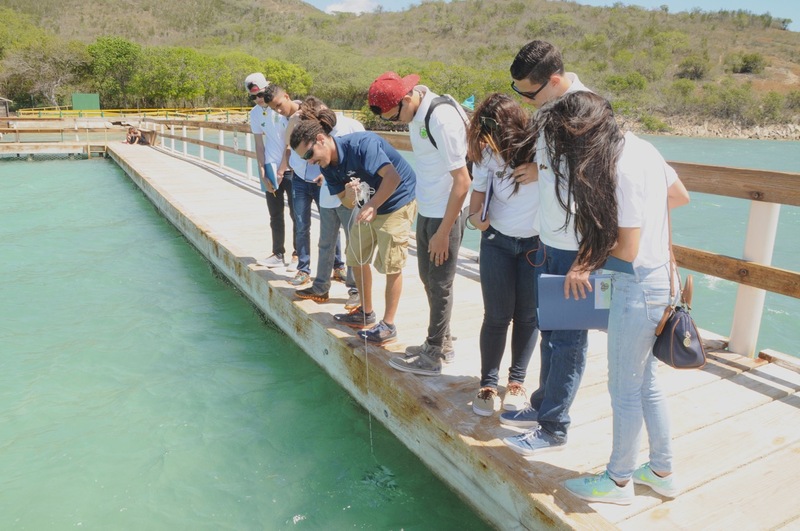 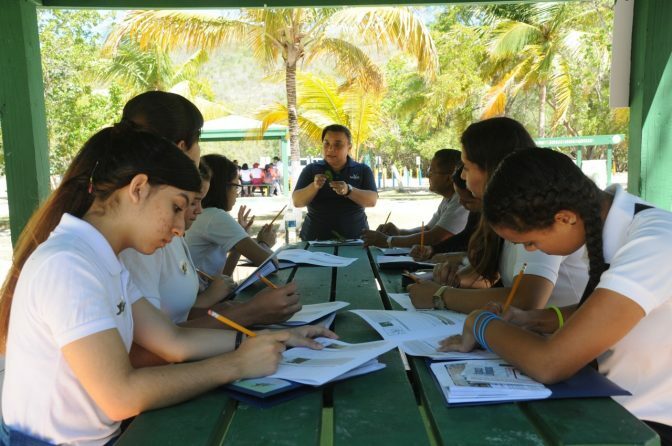 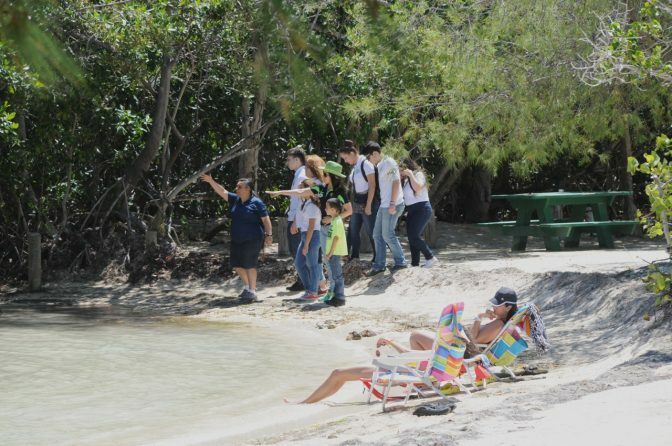 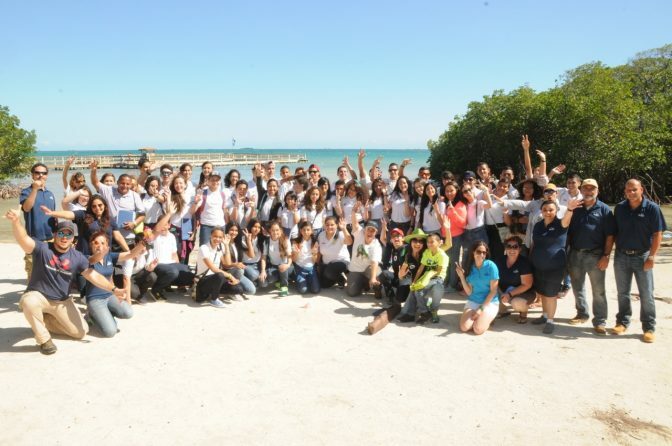 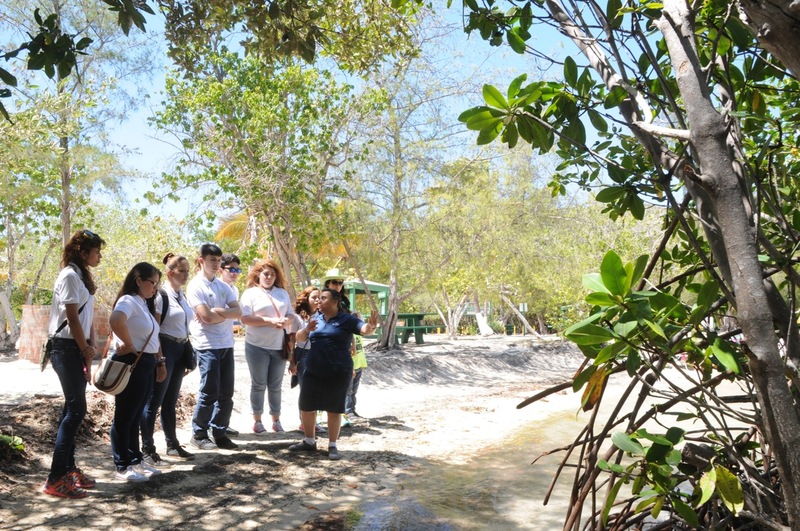 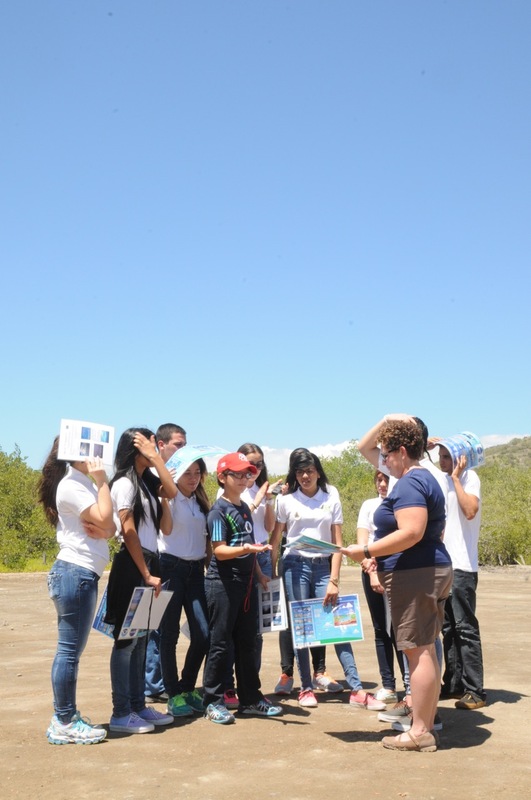 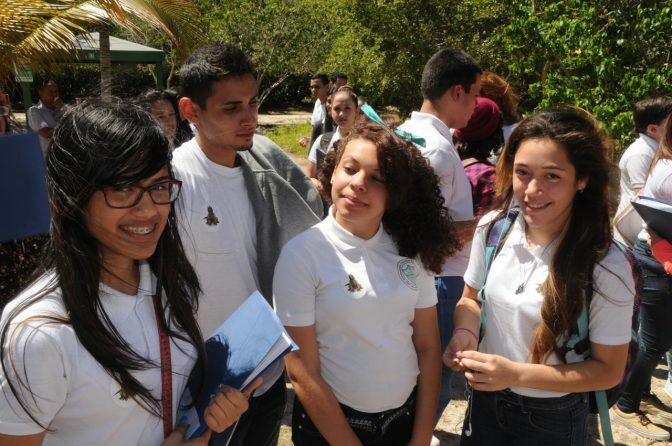 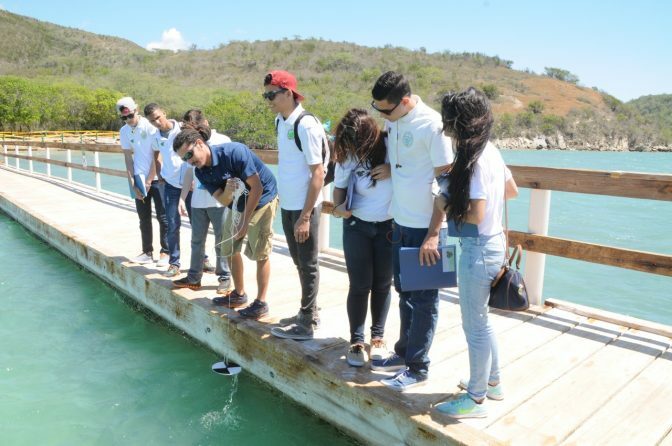 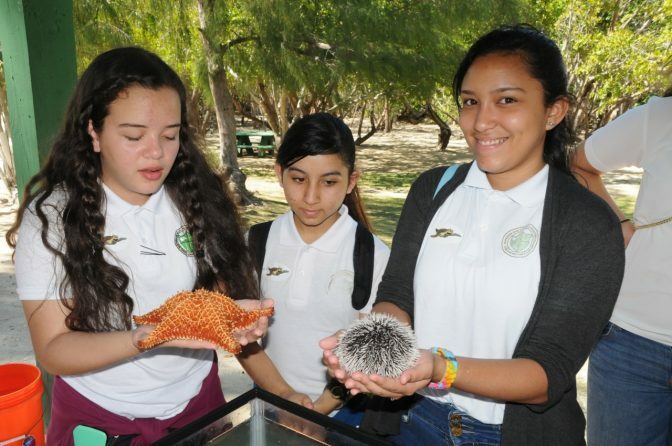 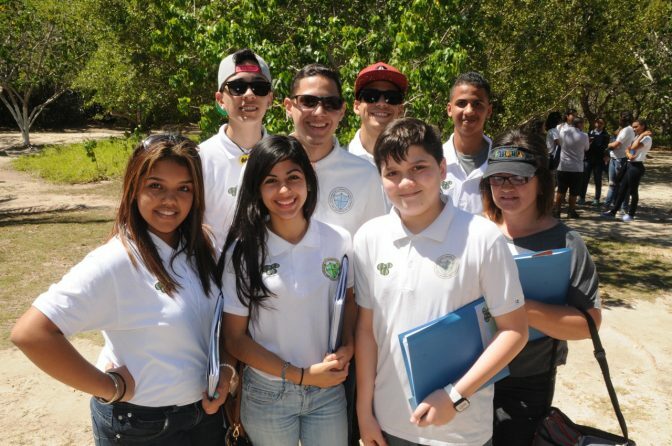 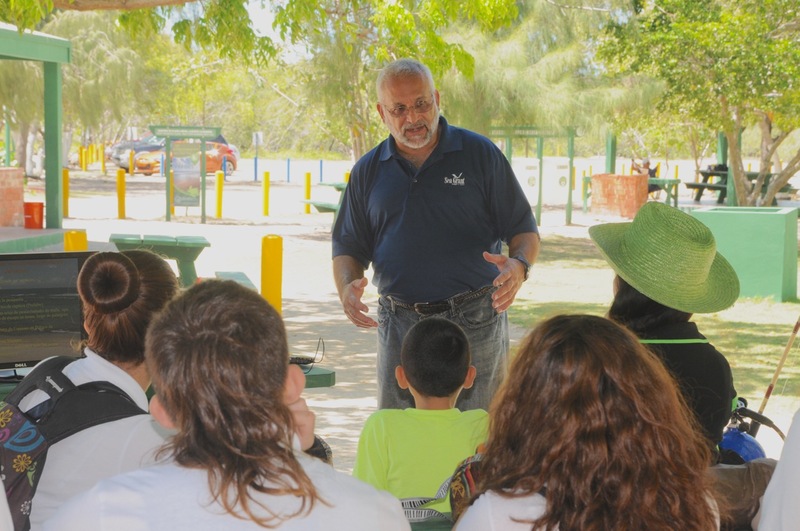 The next day, most of these students traveled from Las Marías and participated in a fieldtrip to Playita Rosada, in Lajas. 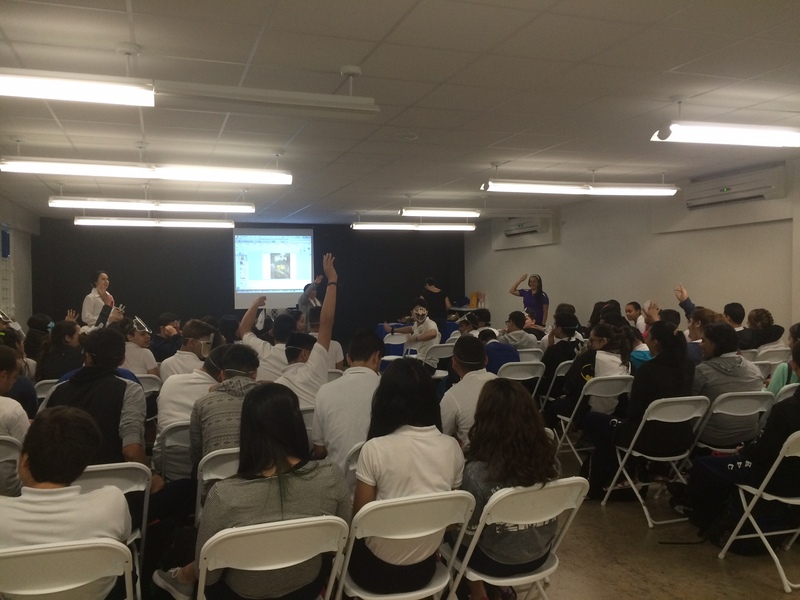 They were very enthusiastic and determined to learn about the topics we presented to them. 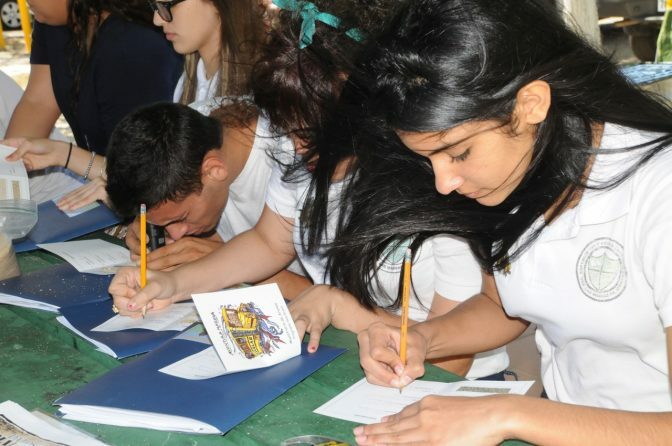 Along with their teachers (the same from the previous day), as well as a student’s parent, they went through each station. 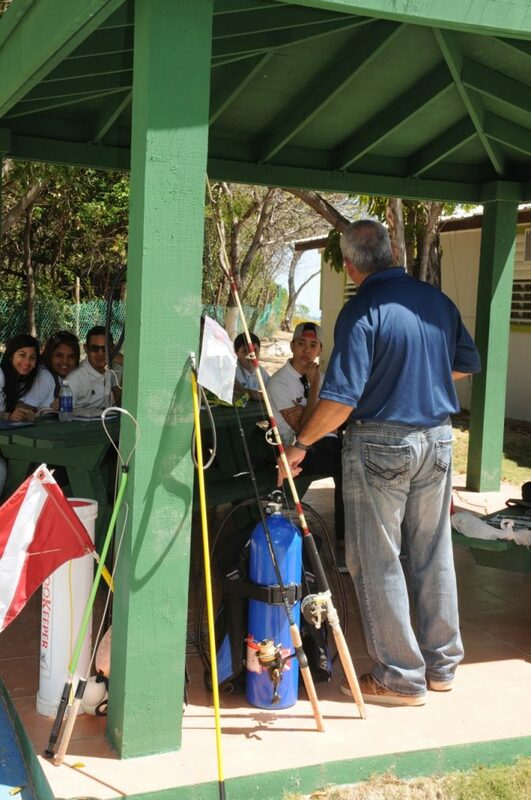 This time we again counted with Dr. Edgardo Ojeda’s presence, who offered a lecture on fisheries. 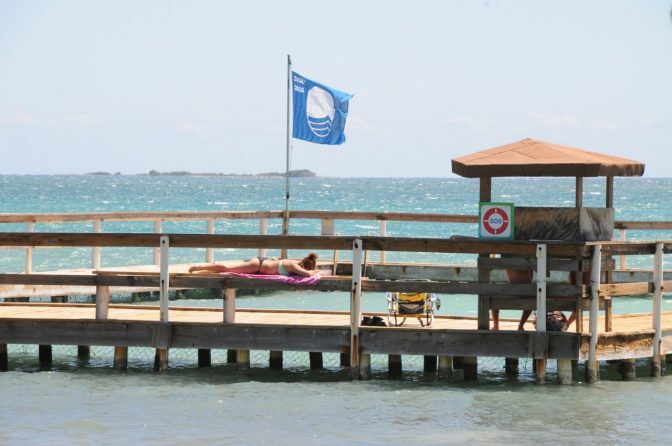 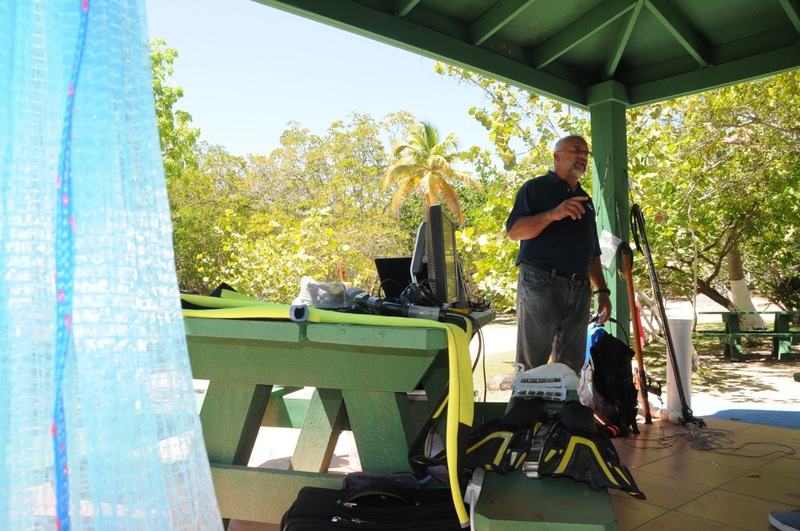 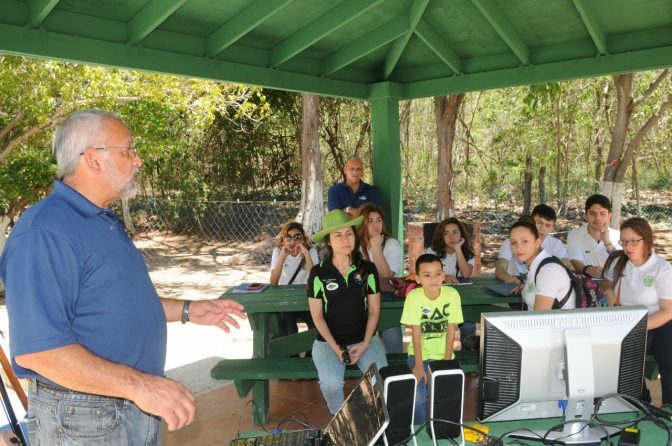 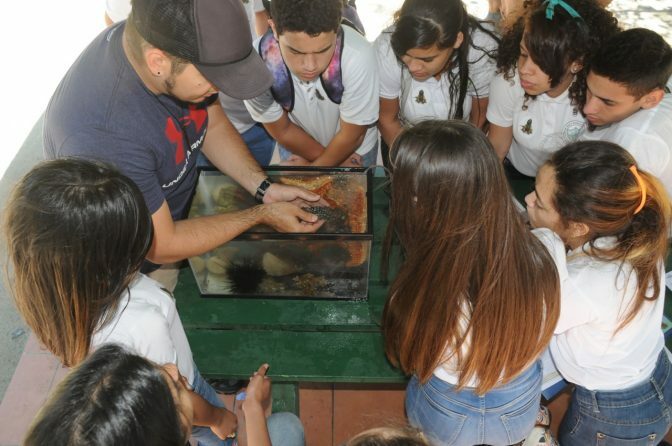 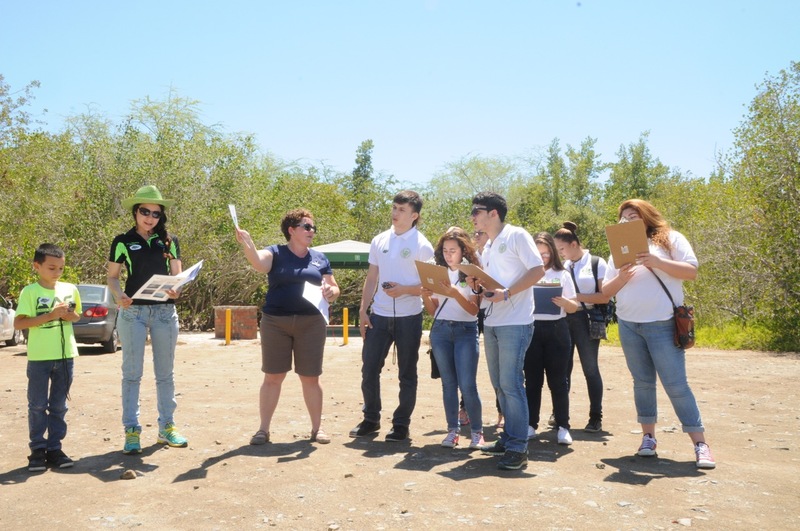 The other stations featured information and exercises on mangroves, seagrasses, water quality, marine invertebrates, sand composition and meteorology. 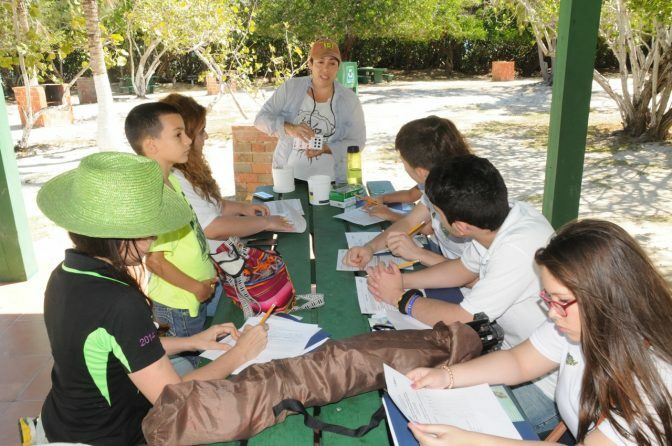 We spent an excellent time in which students performed several activities that put them in direct contact with nature. 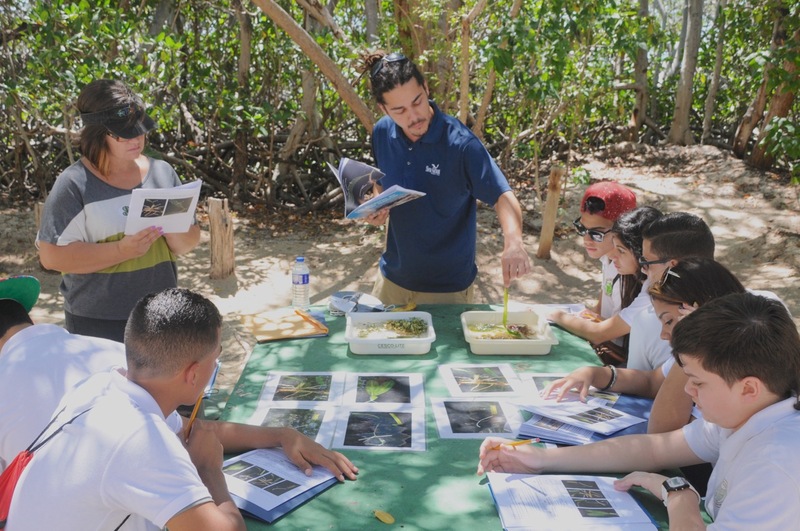 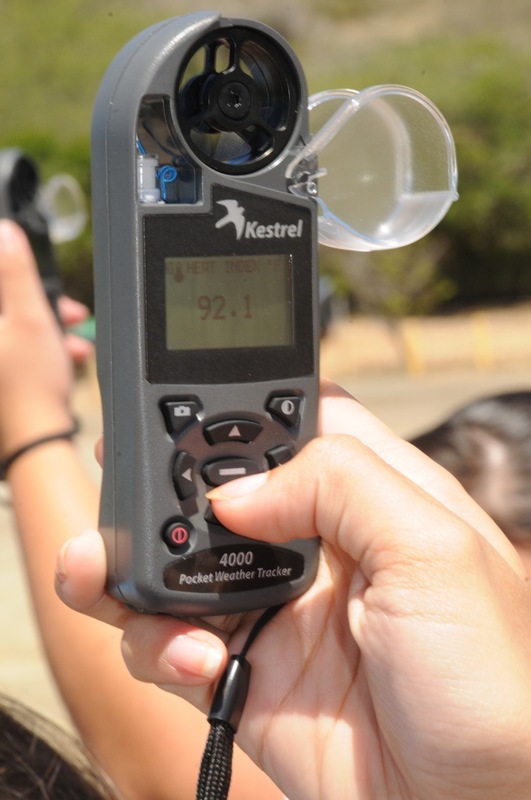 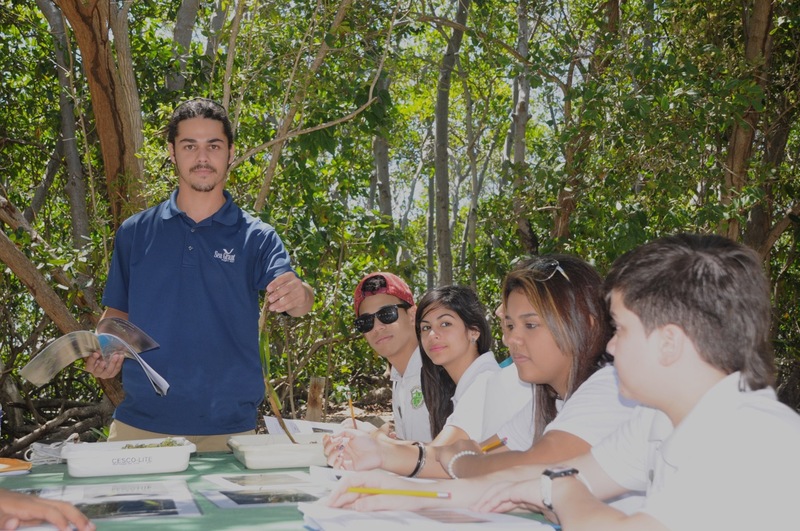 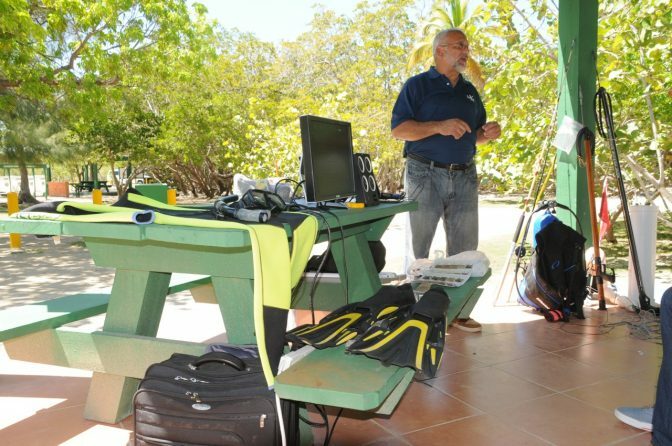 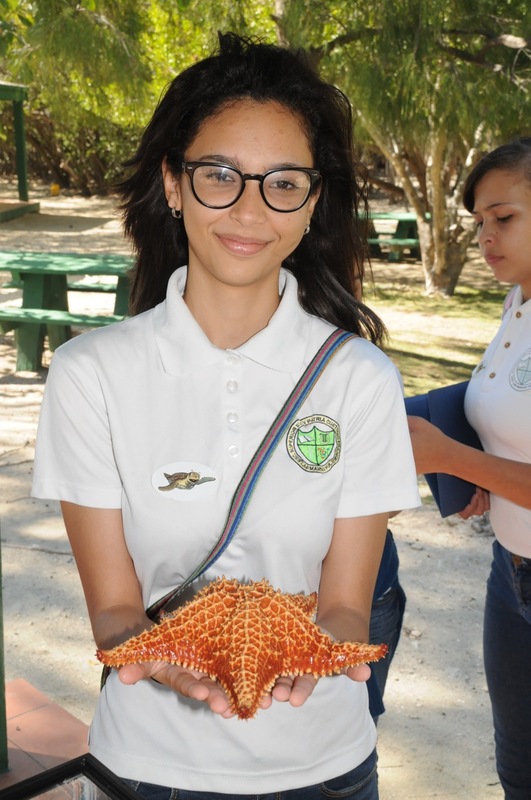 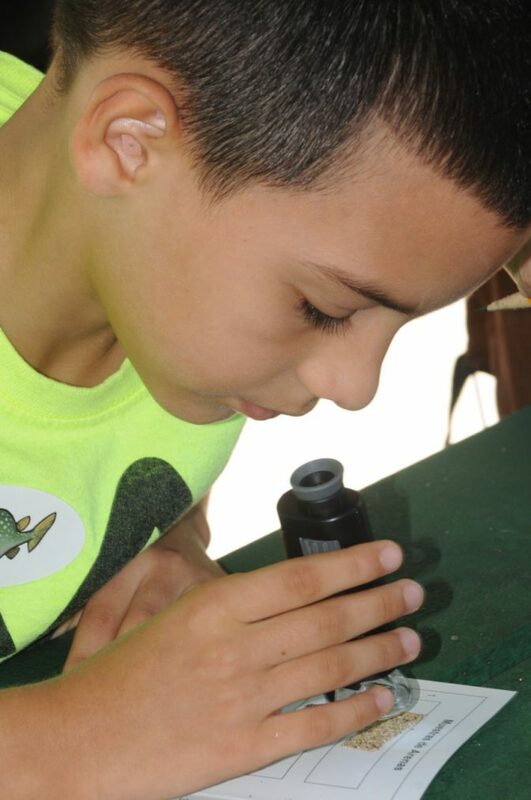 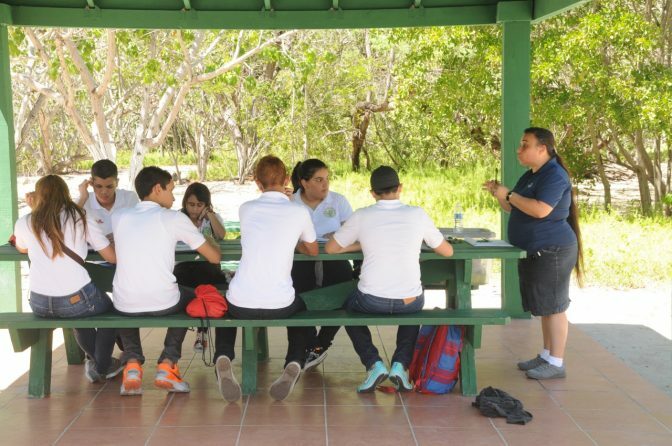 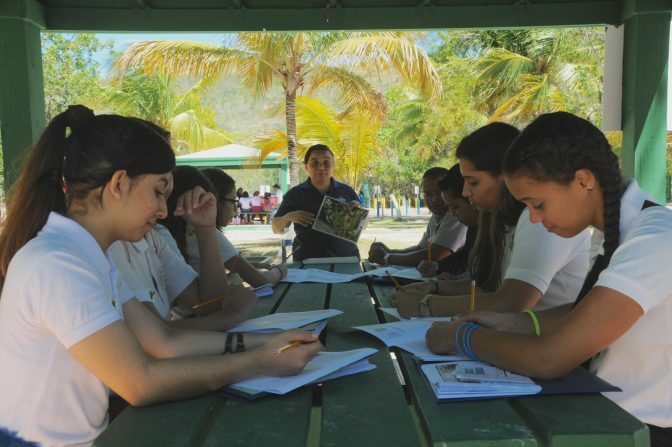 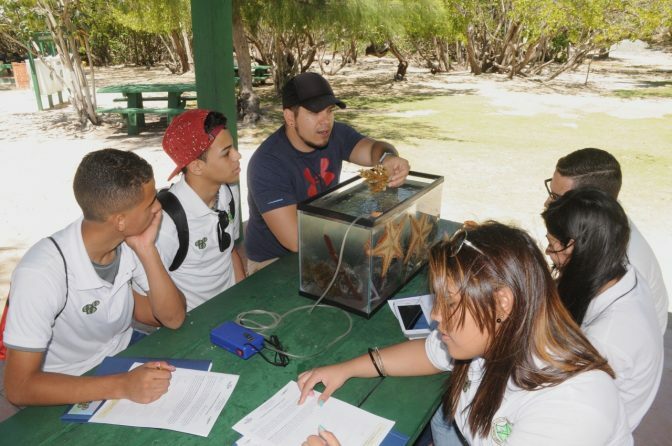 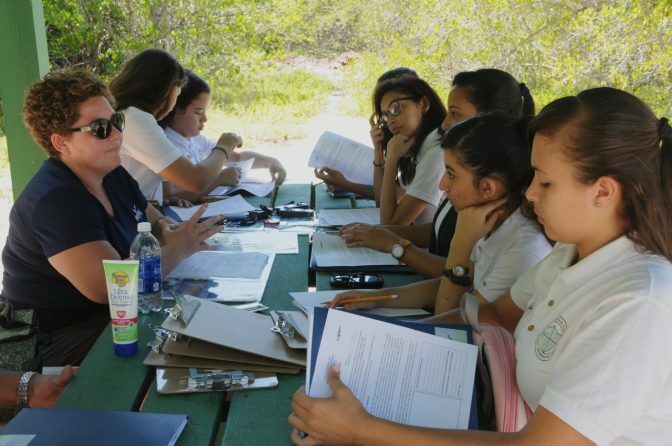 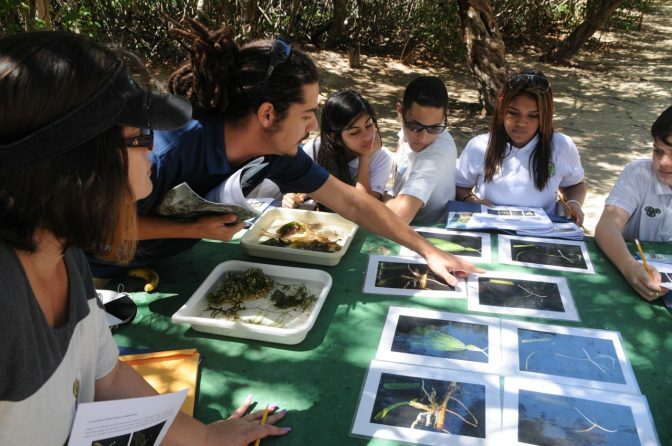 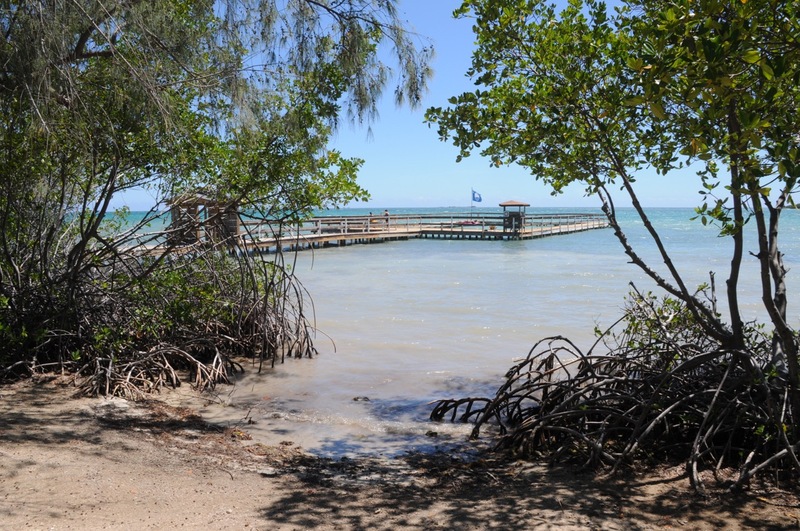 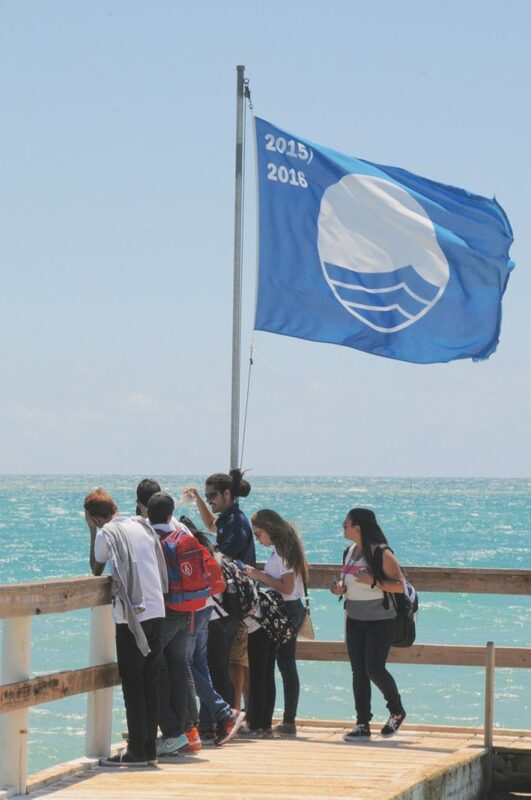 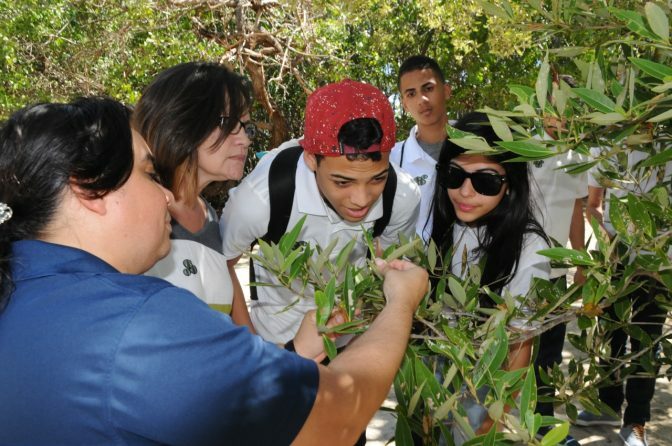 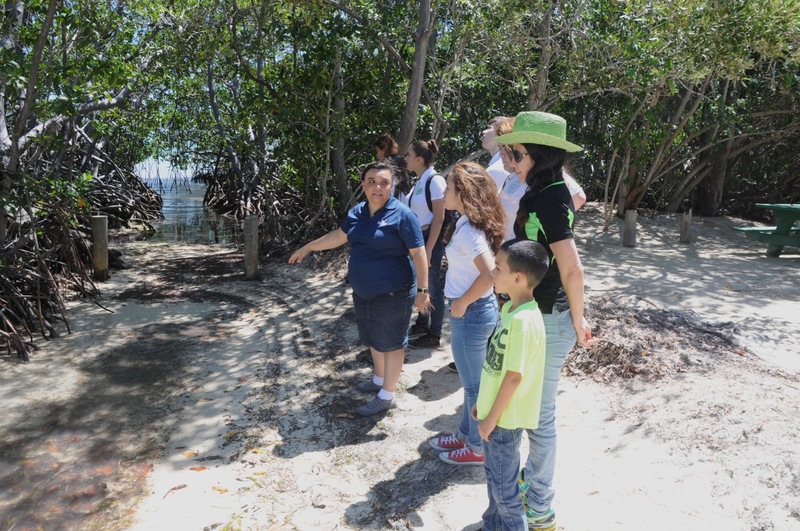 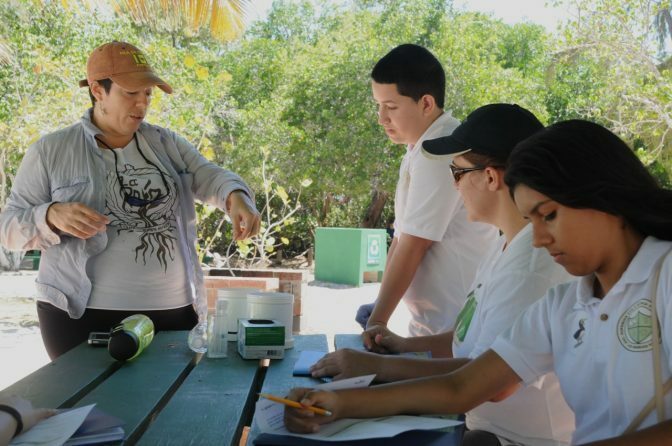 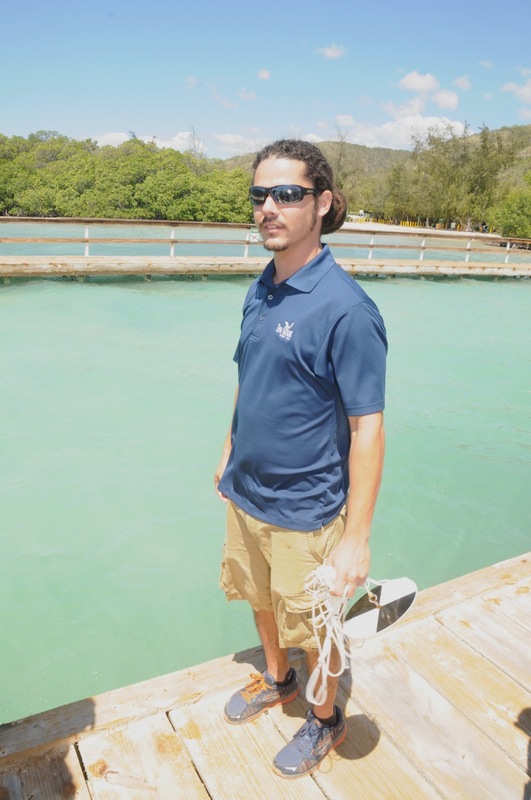 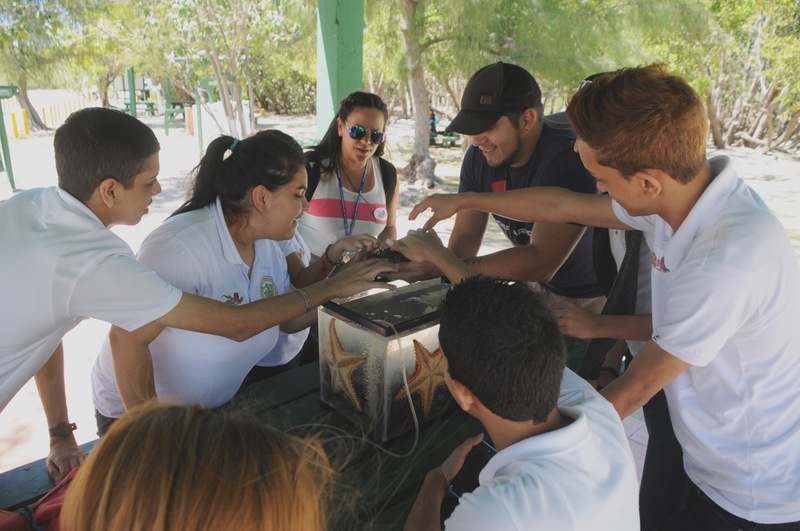 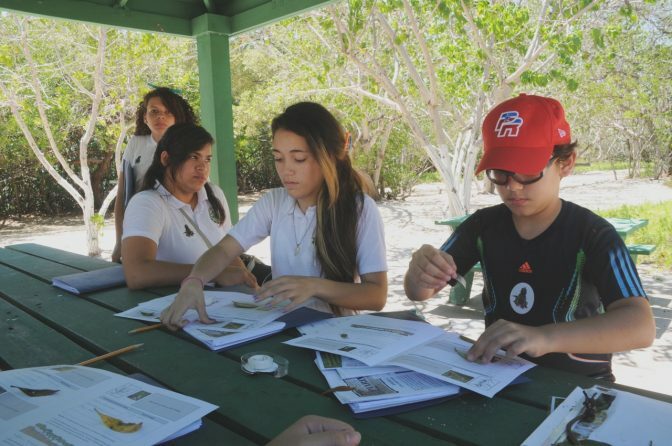 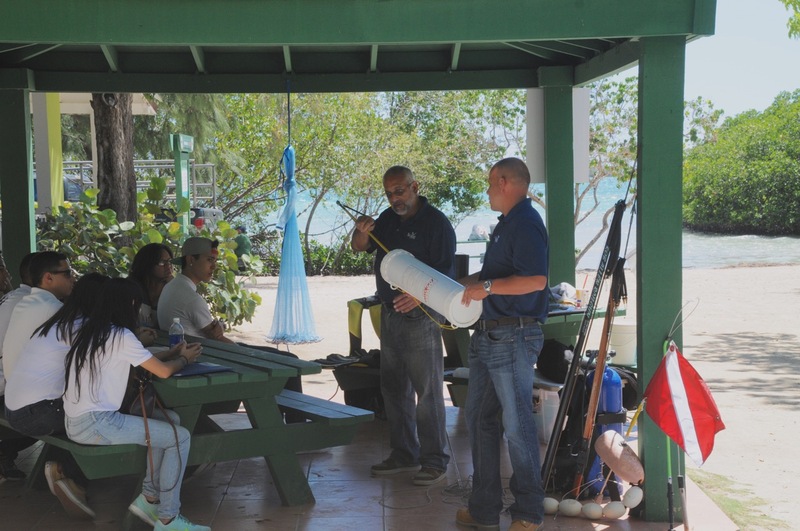 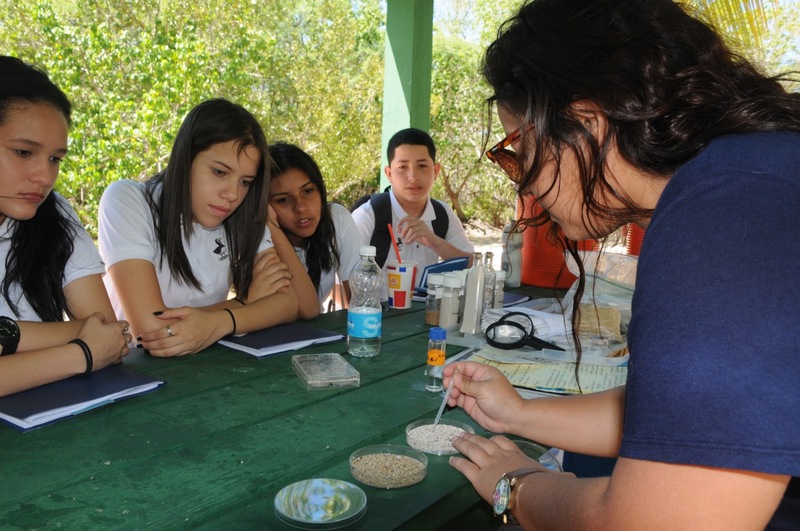 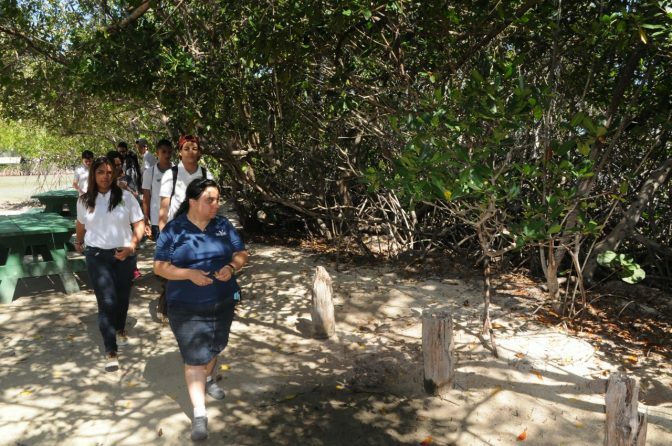 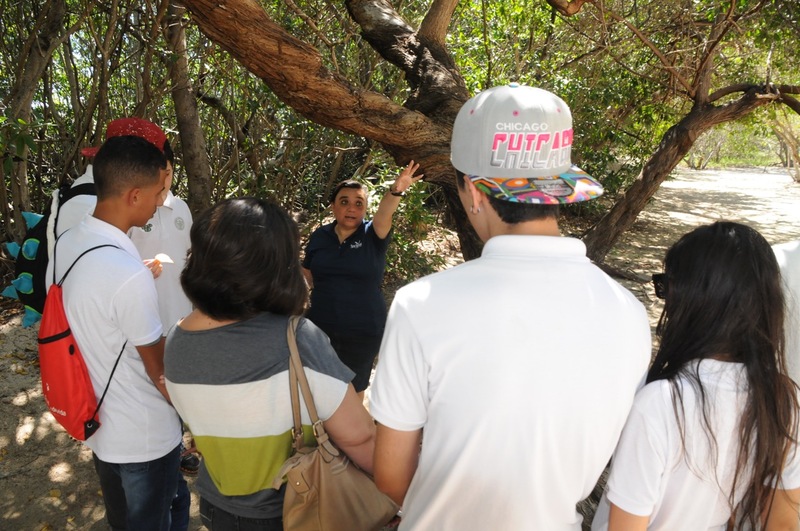 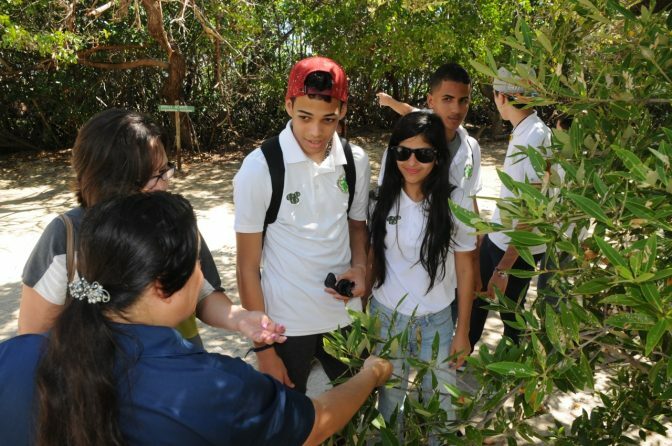 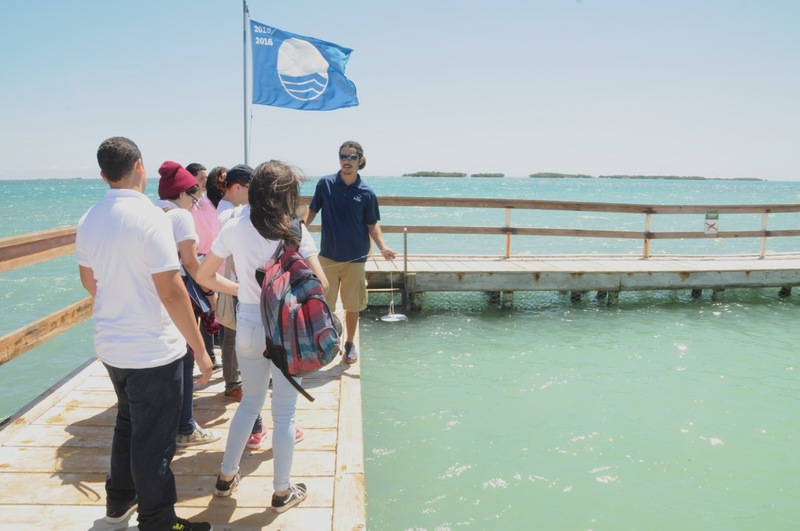 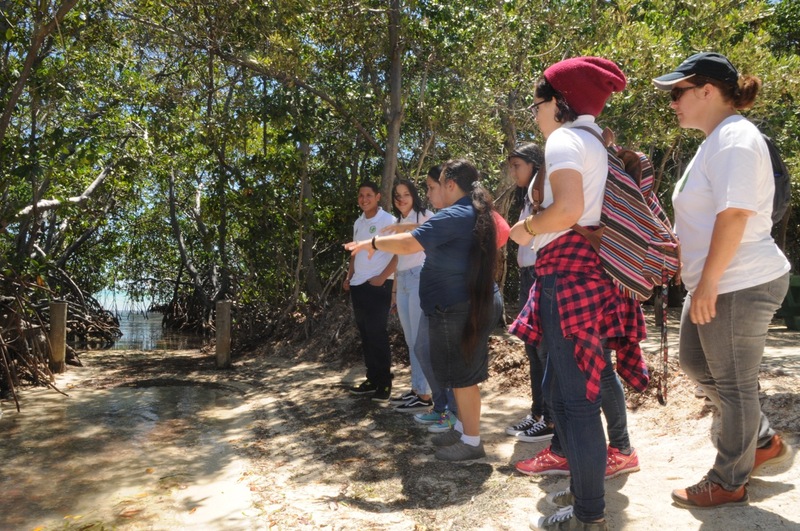 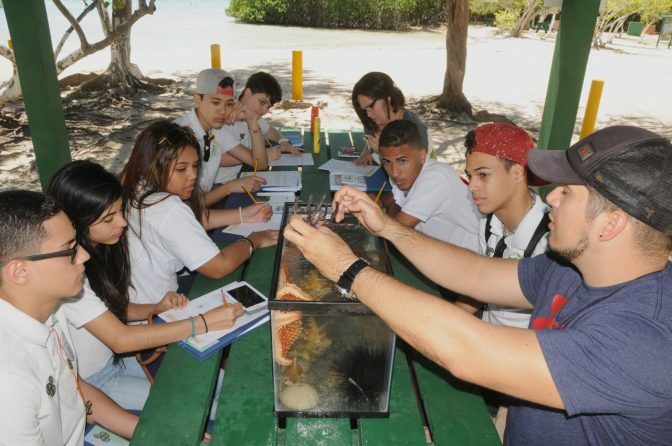 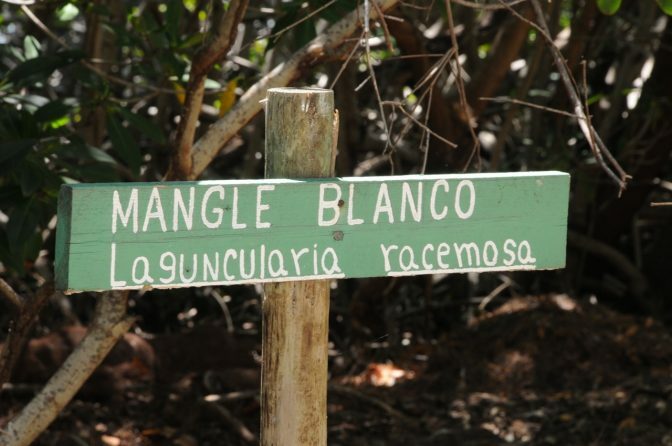 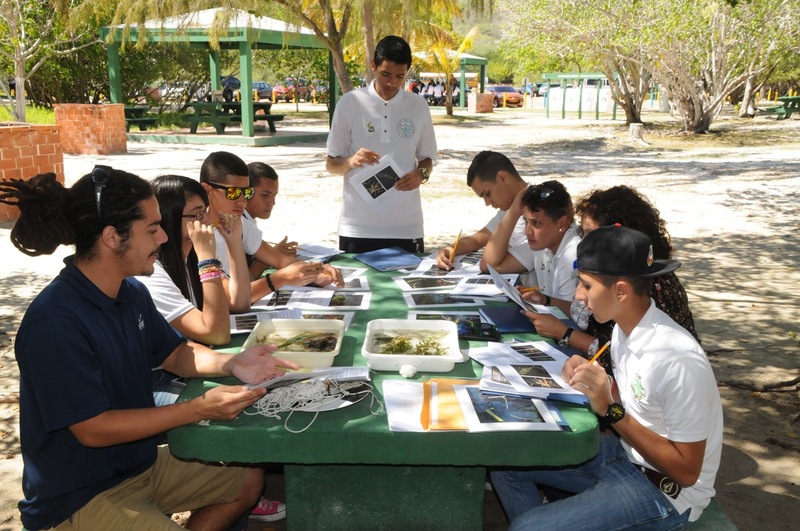 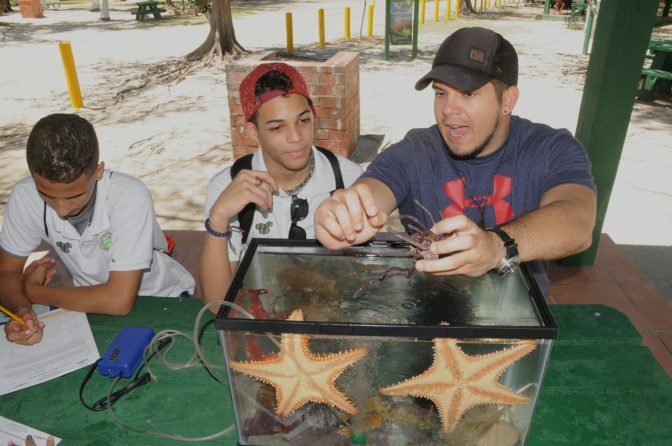 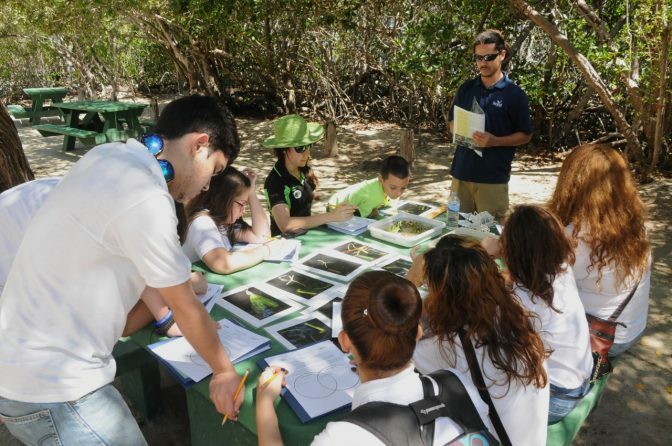 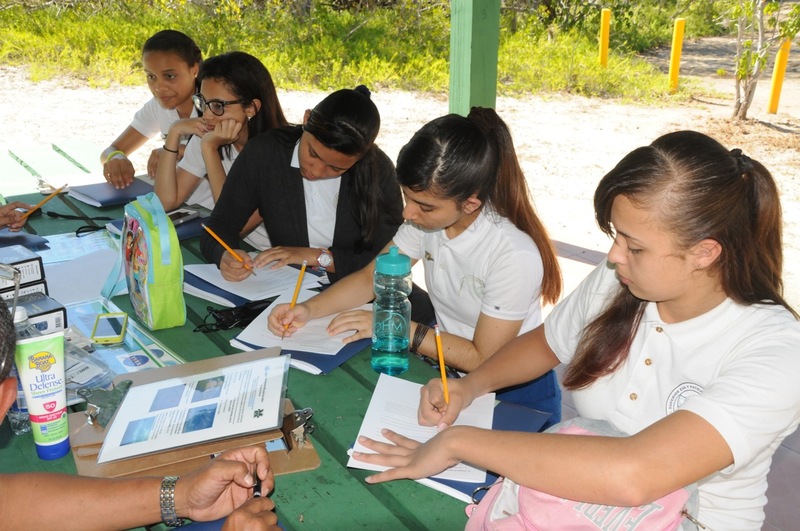 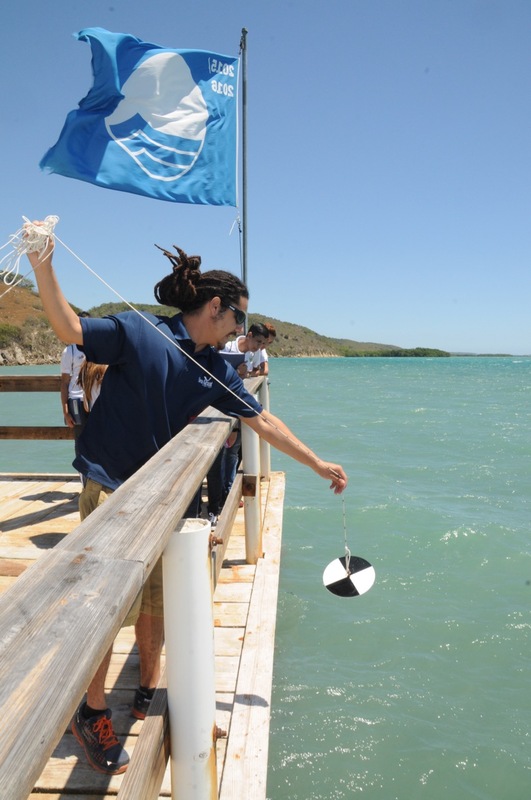 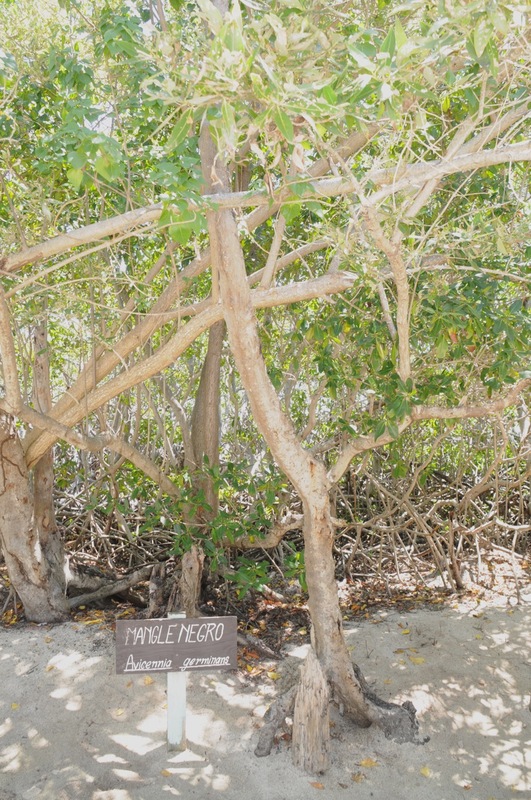 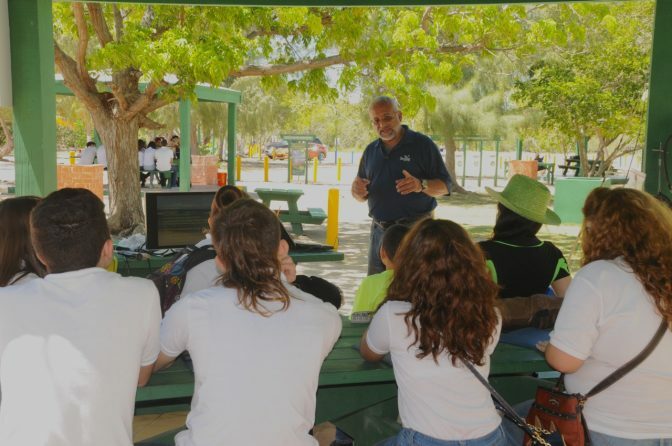 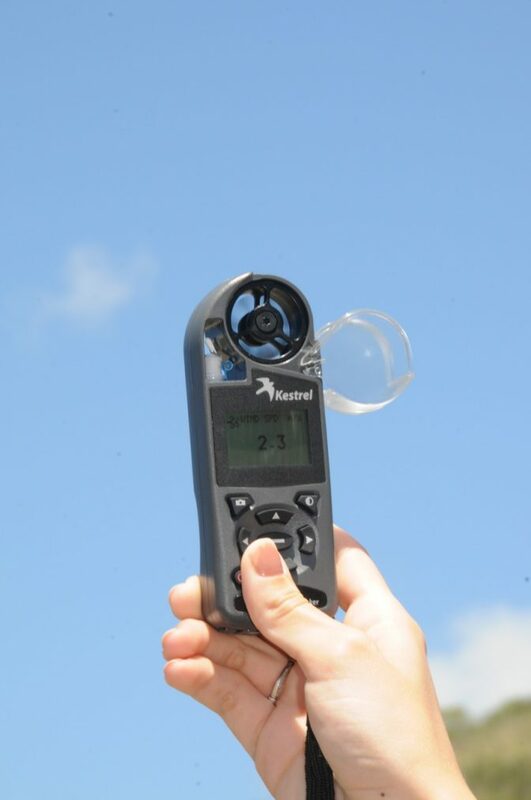 They observed each mangrove tree species and each seagrass species in the area, manipulated marine invertebrates, measured water quality and some weather parameters, and learned about fisheries. 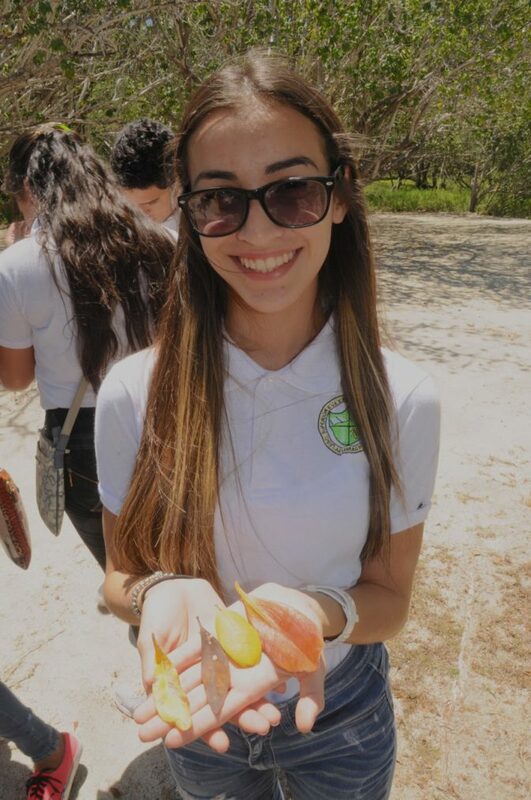 Truly, it was a wonderful day.